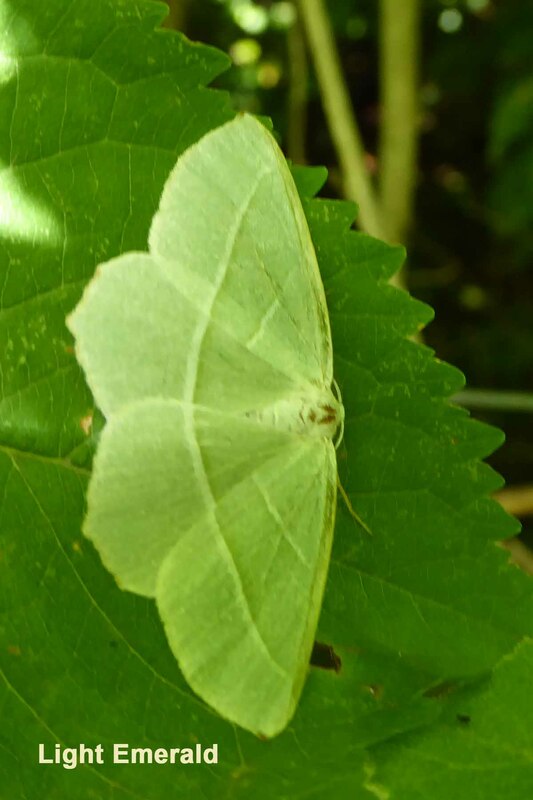 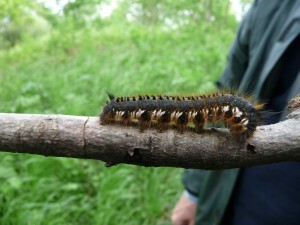 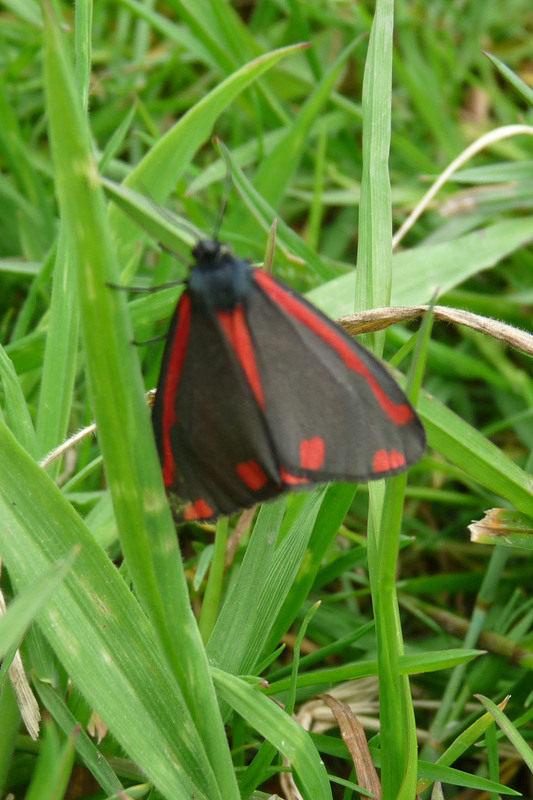 Our woodland rides and glades are managed and wildflowers planted to encourage insects, butterflies and moths. 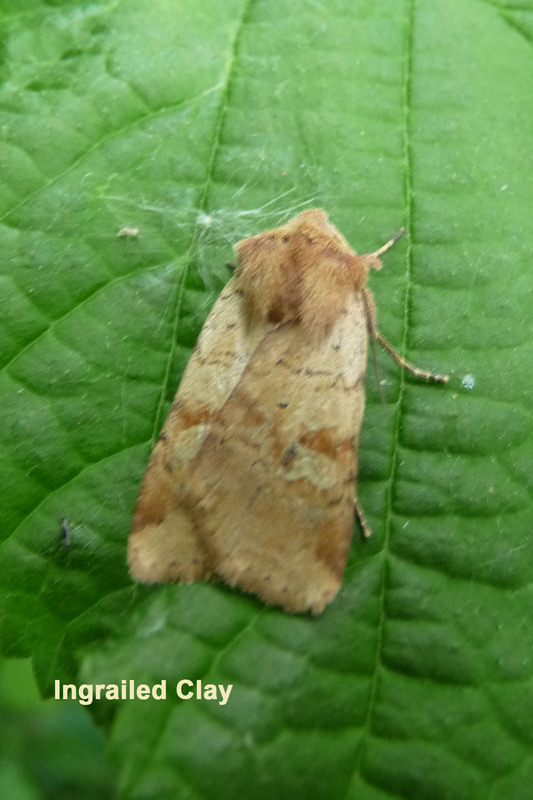 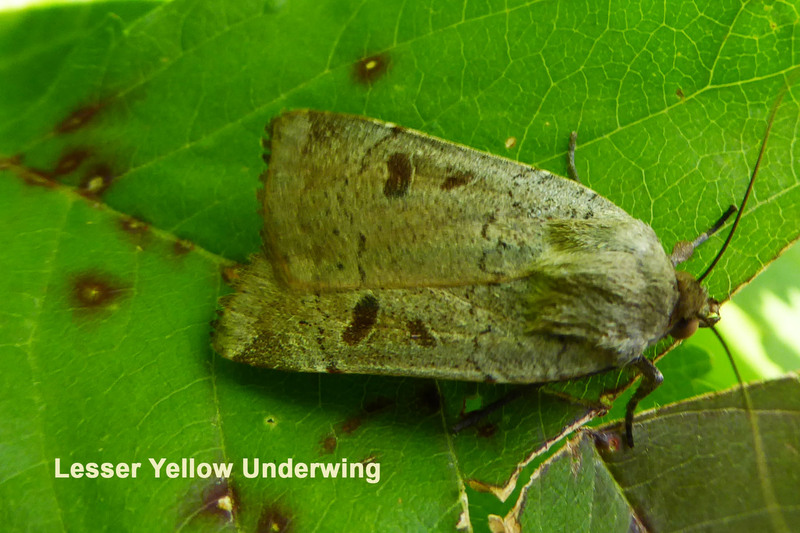 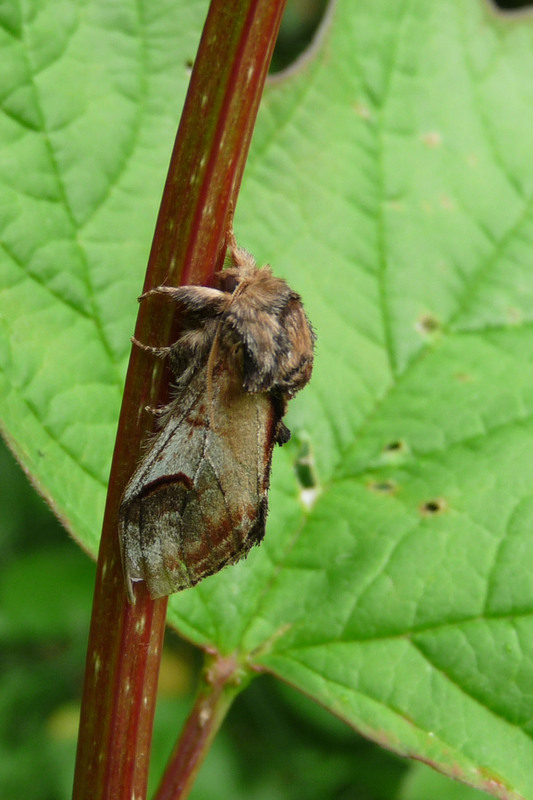 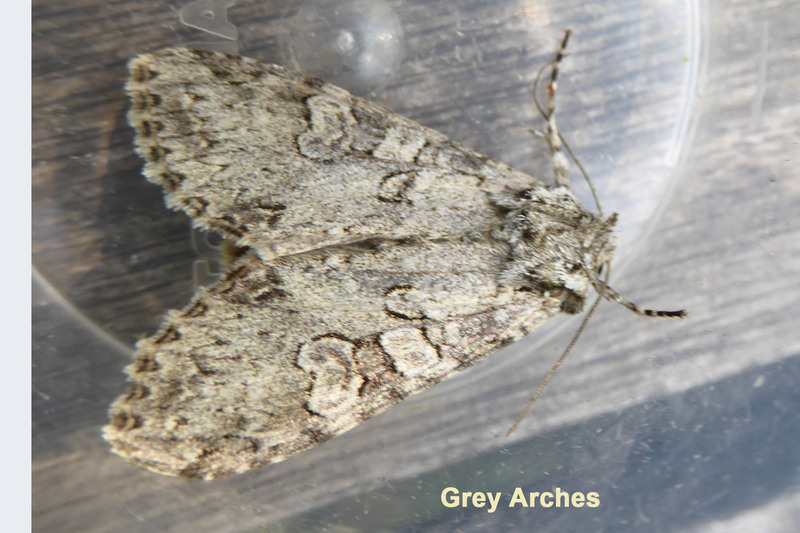 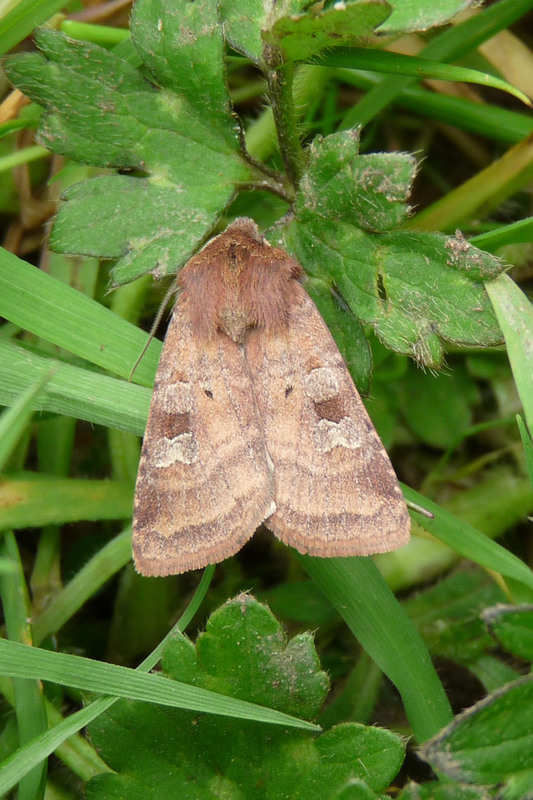 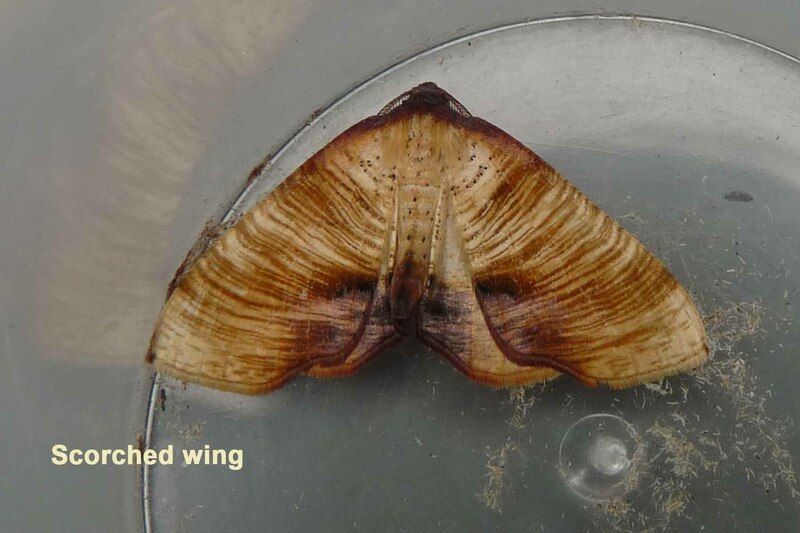 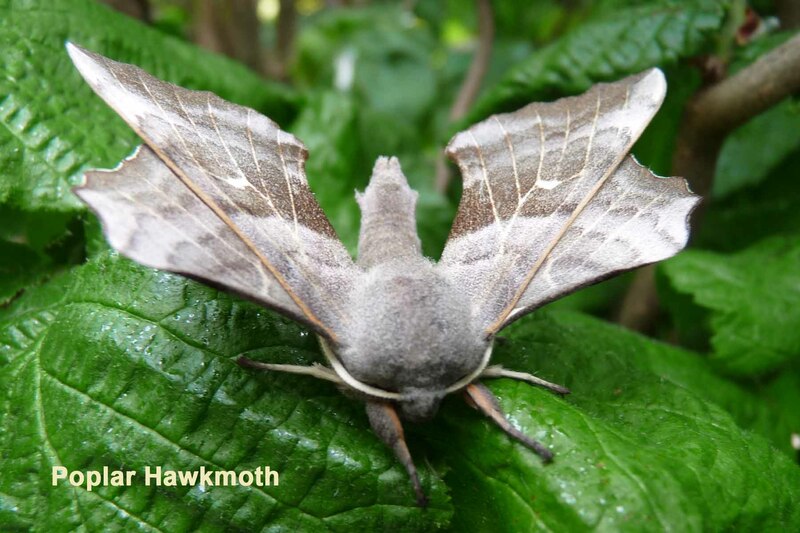 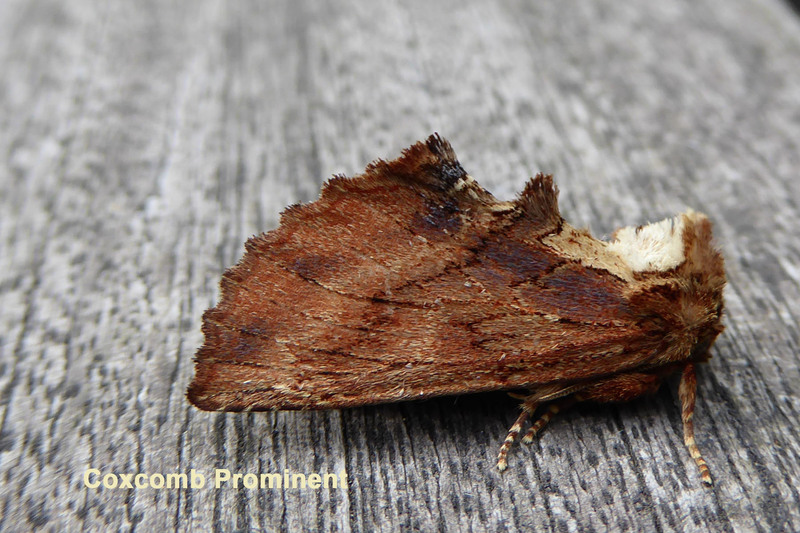 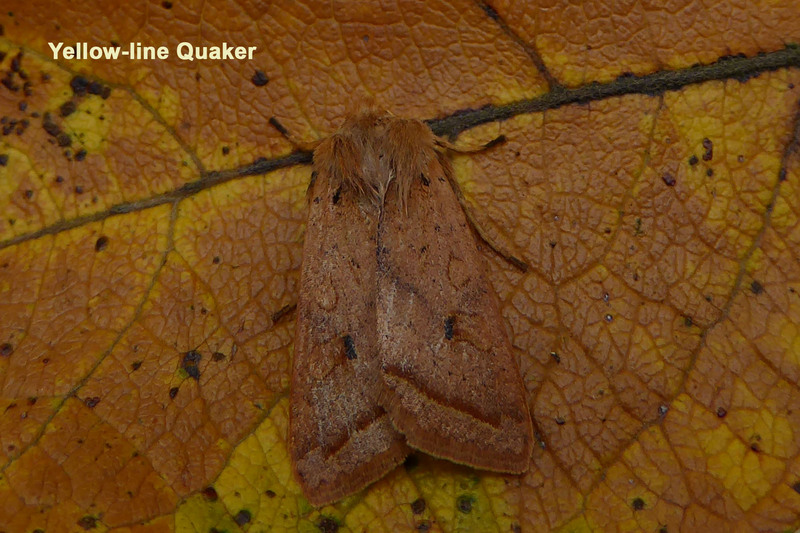 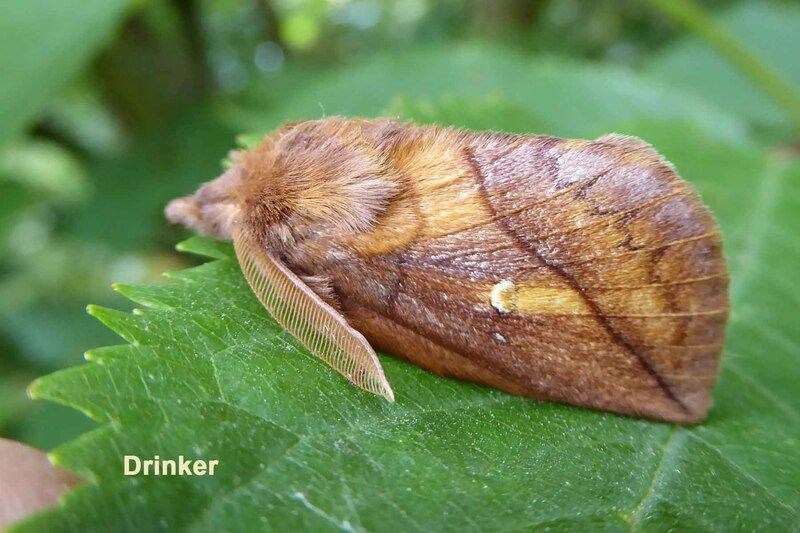 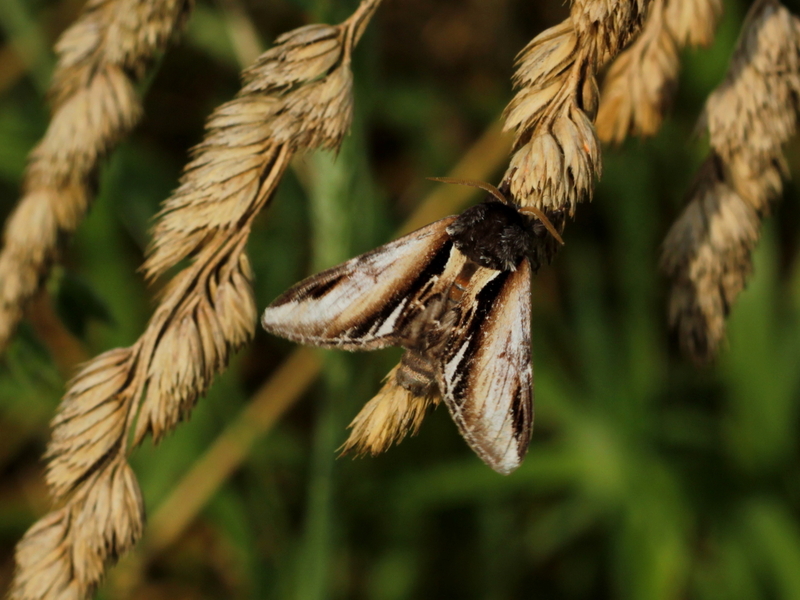 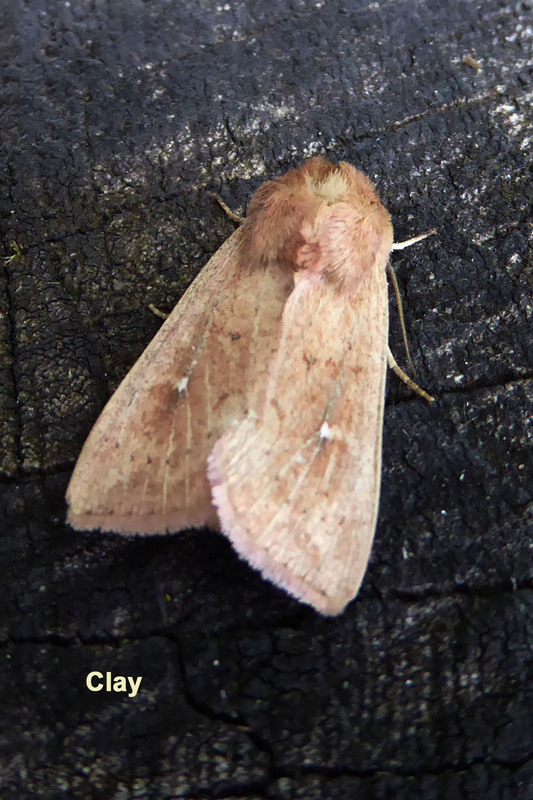 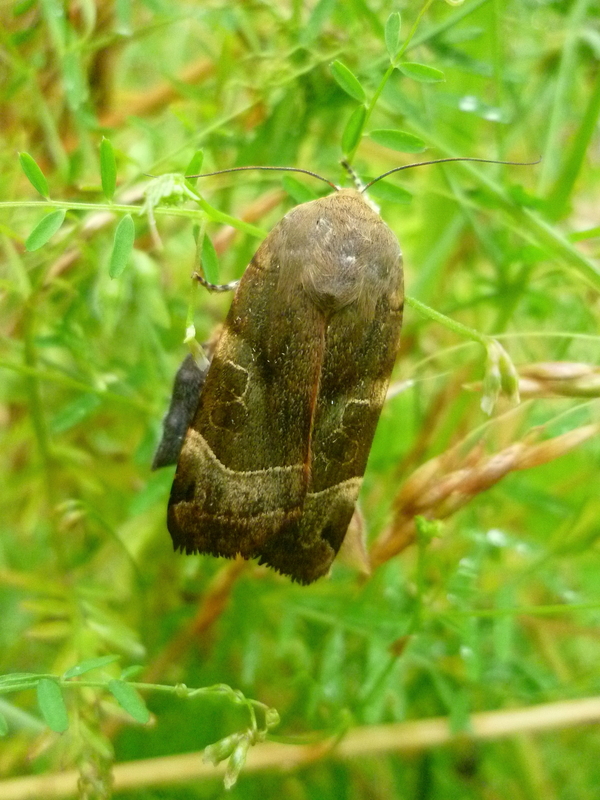 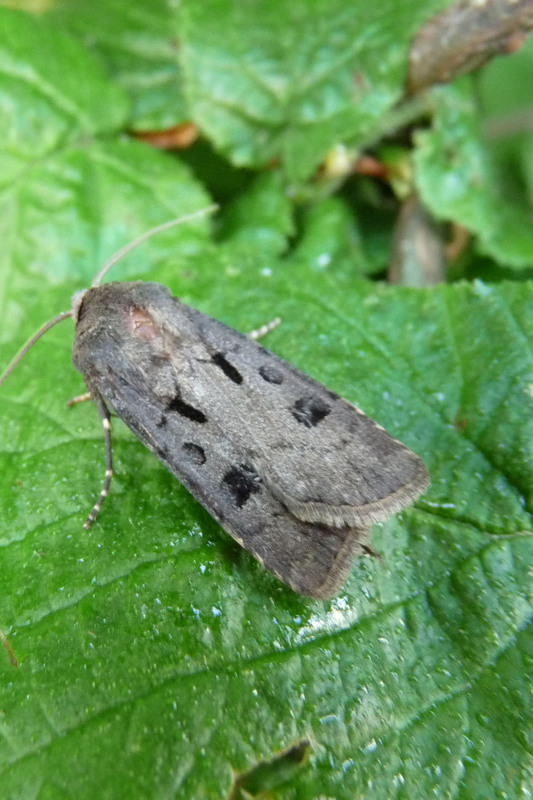 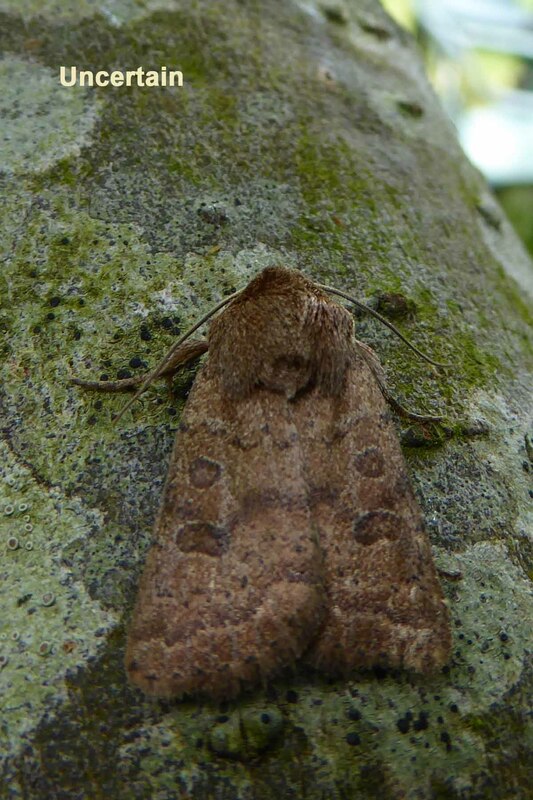 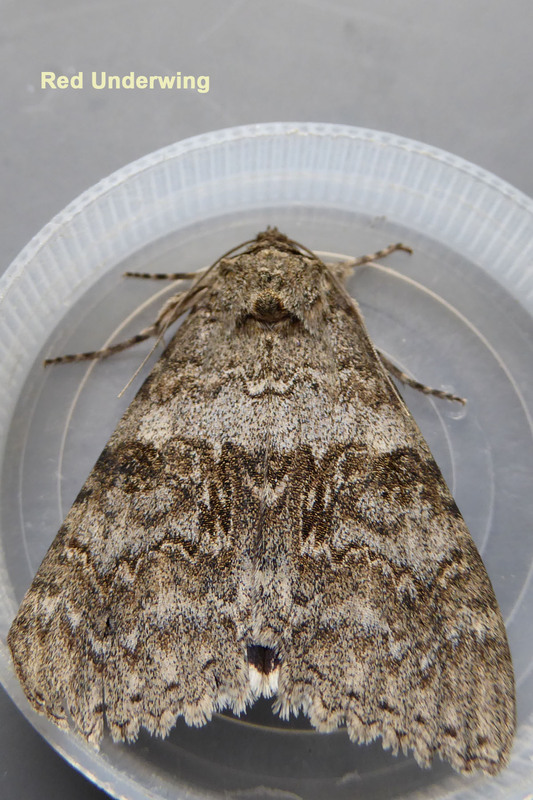 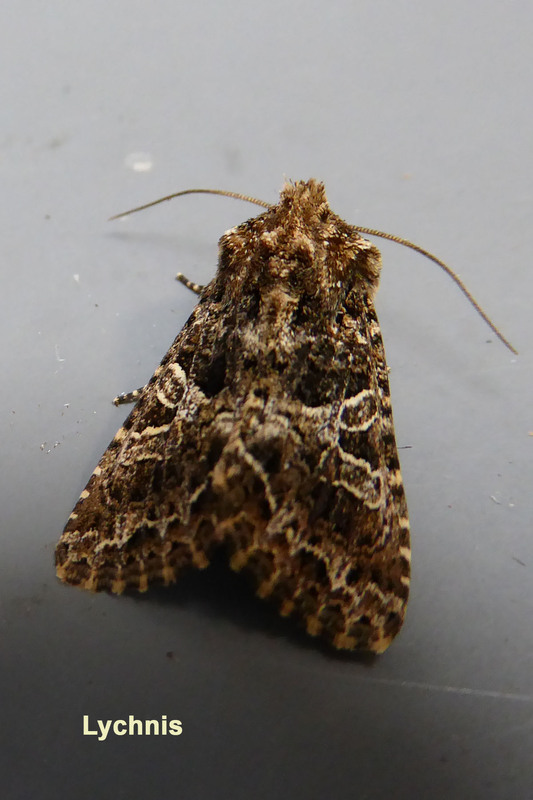 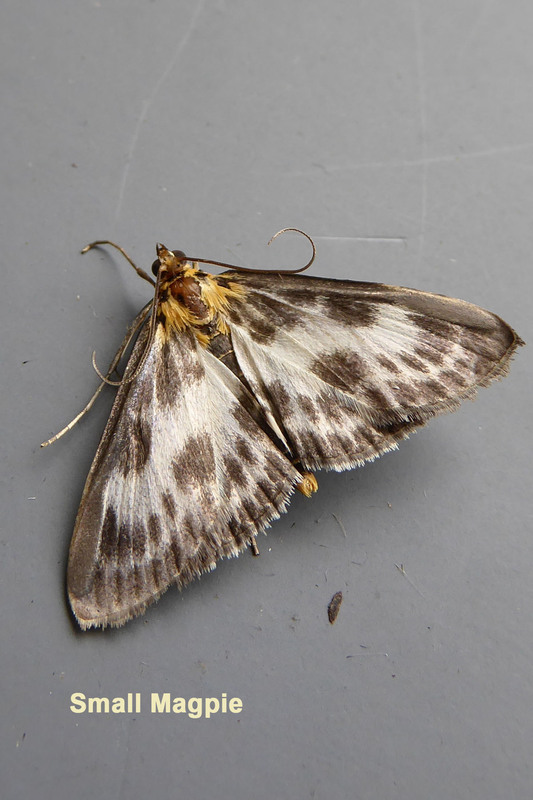 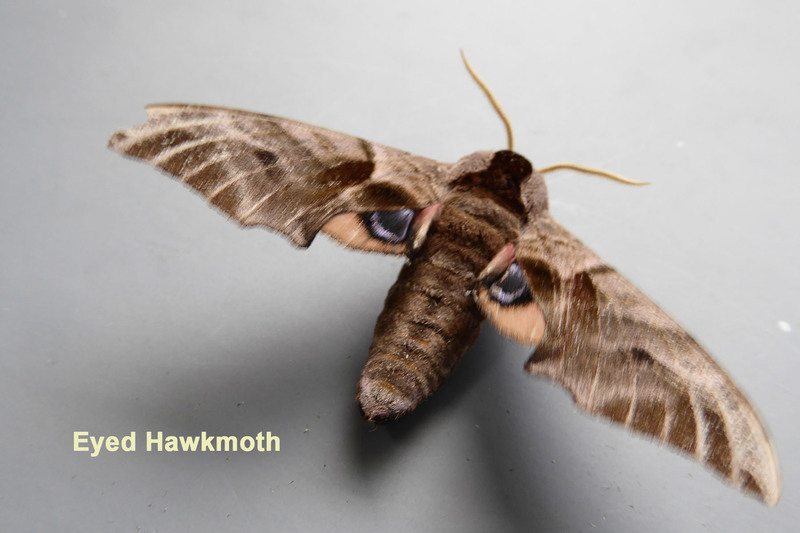 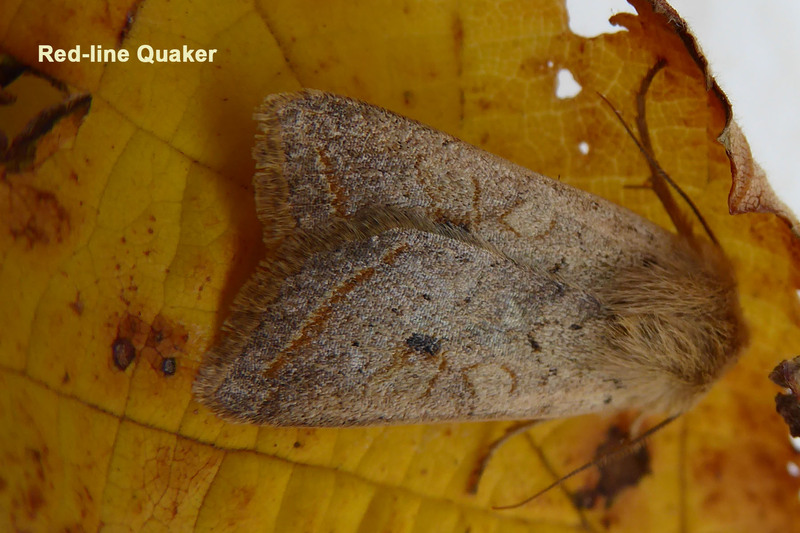 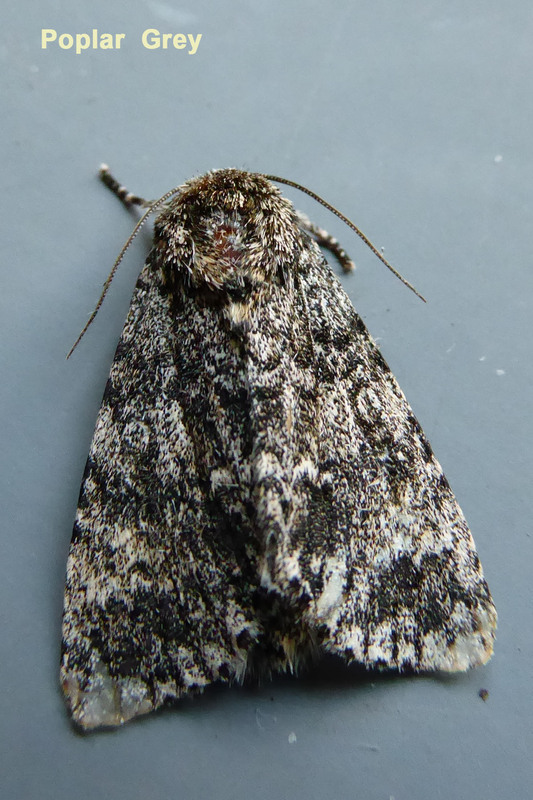 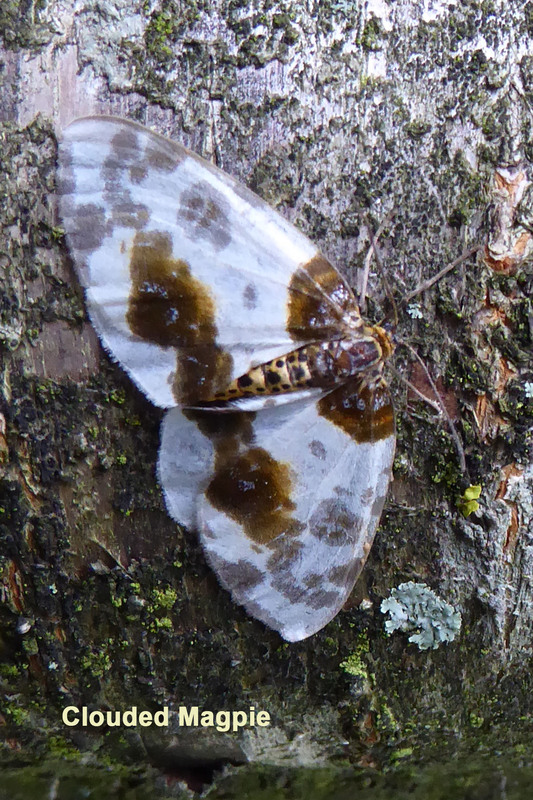 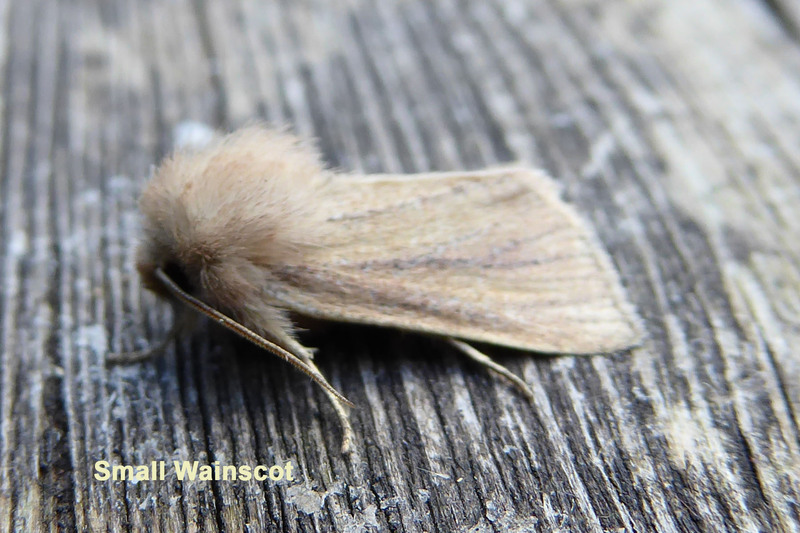 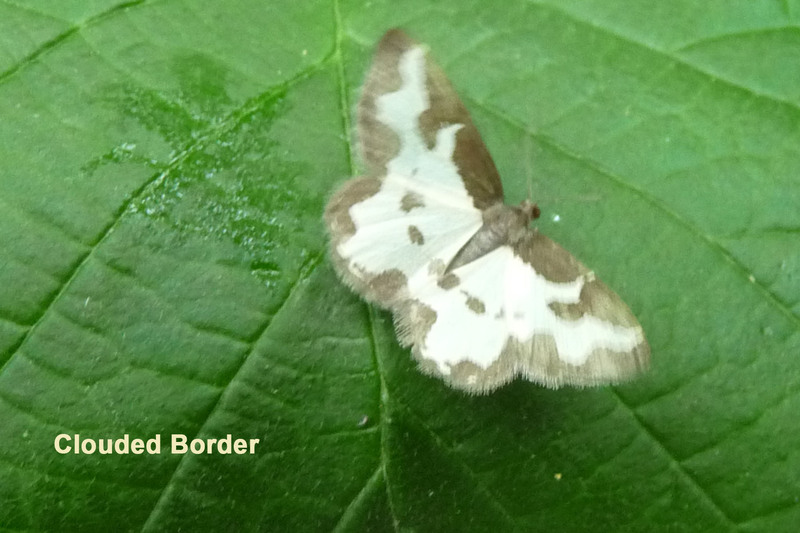 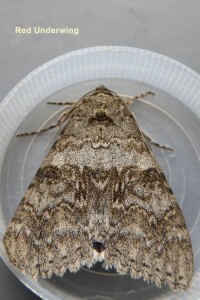 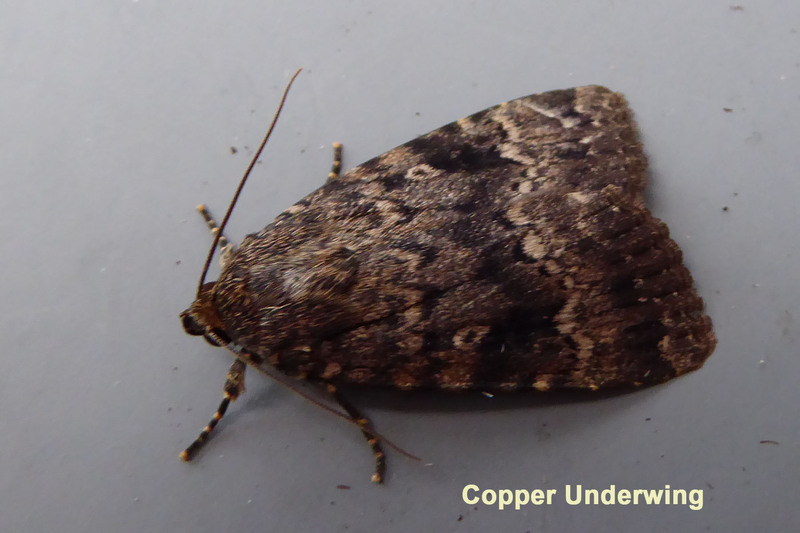 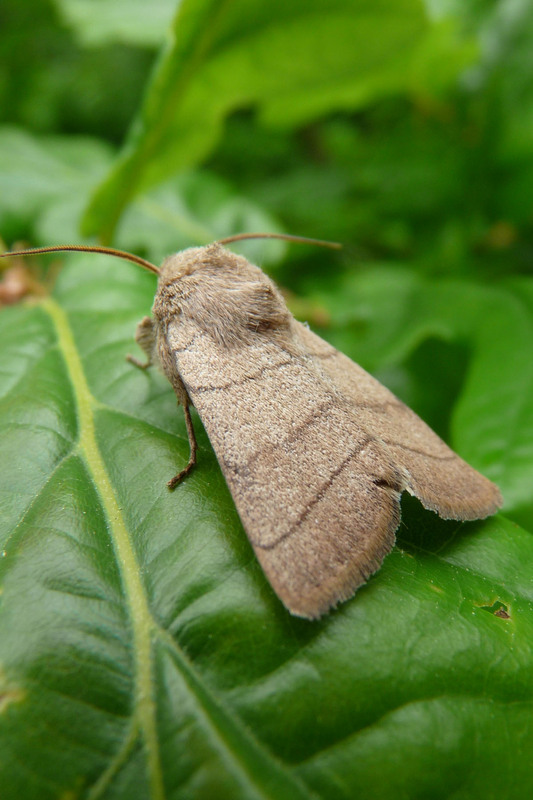 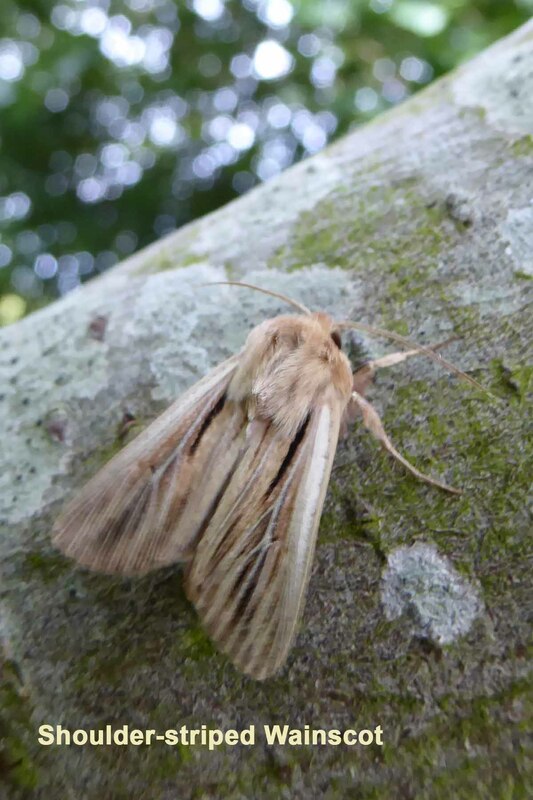 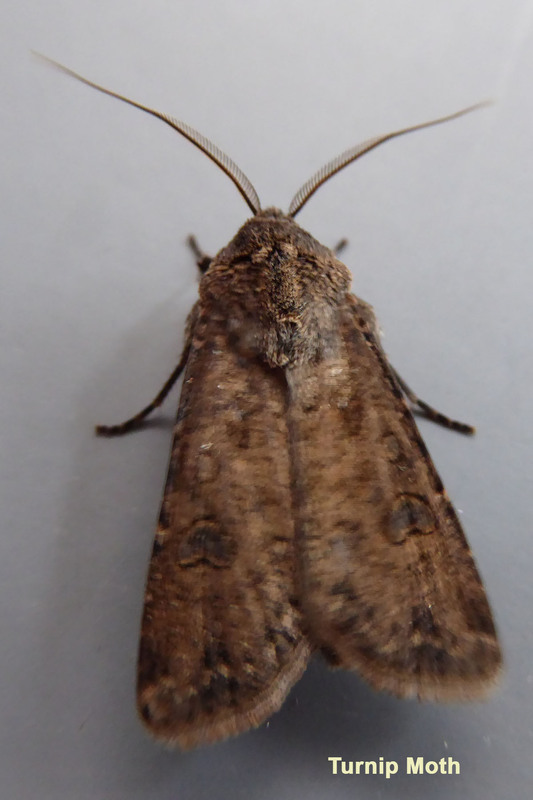 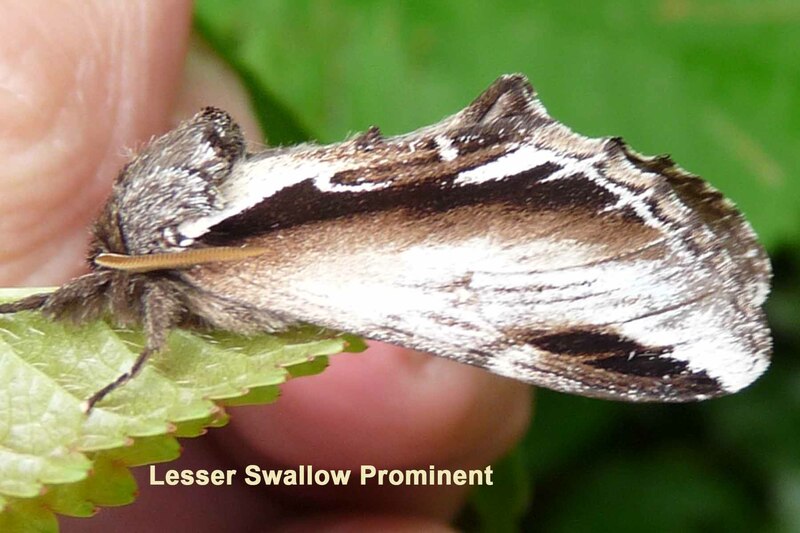 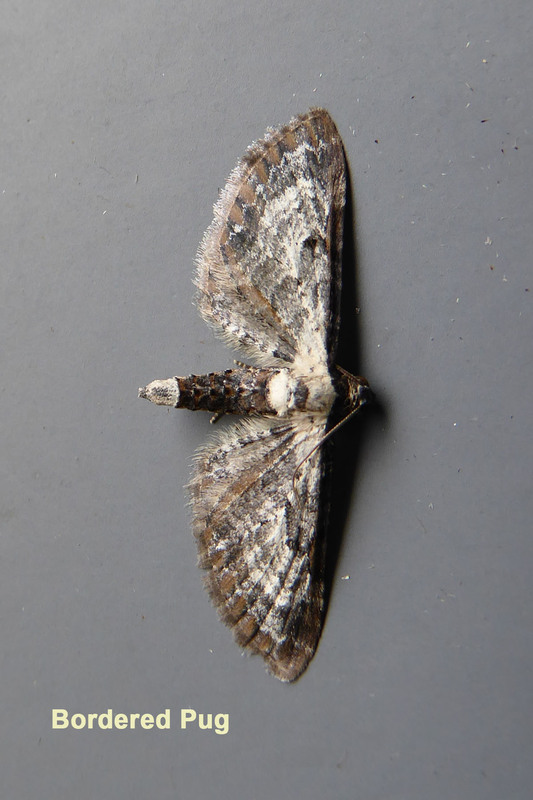 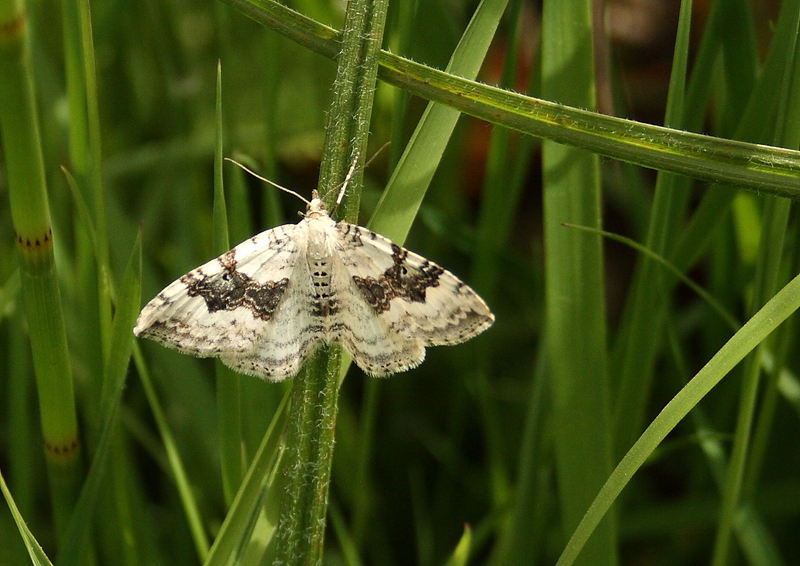 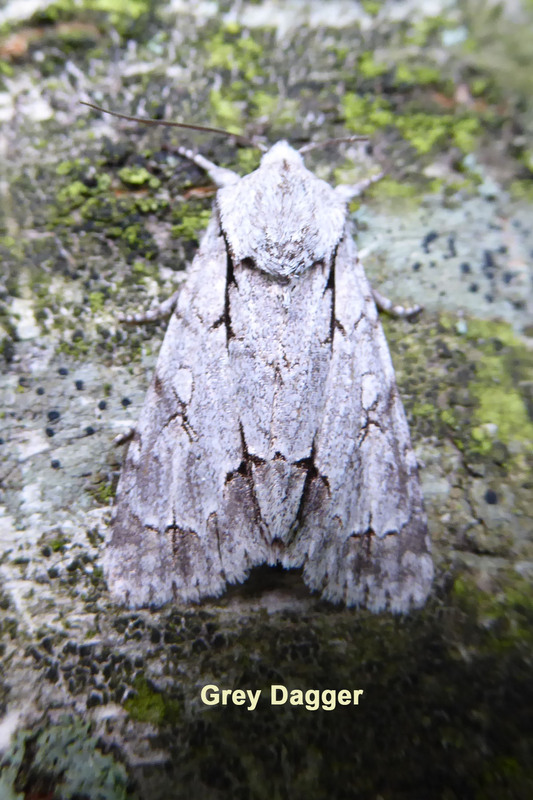 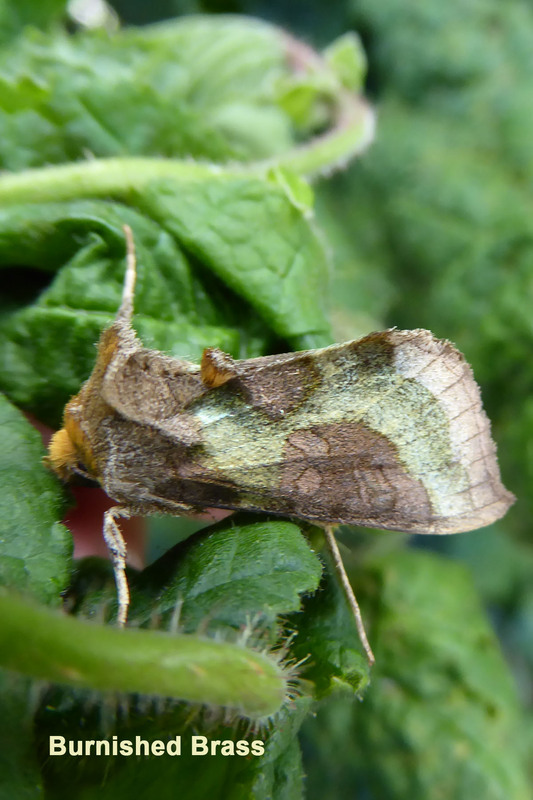 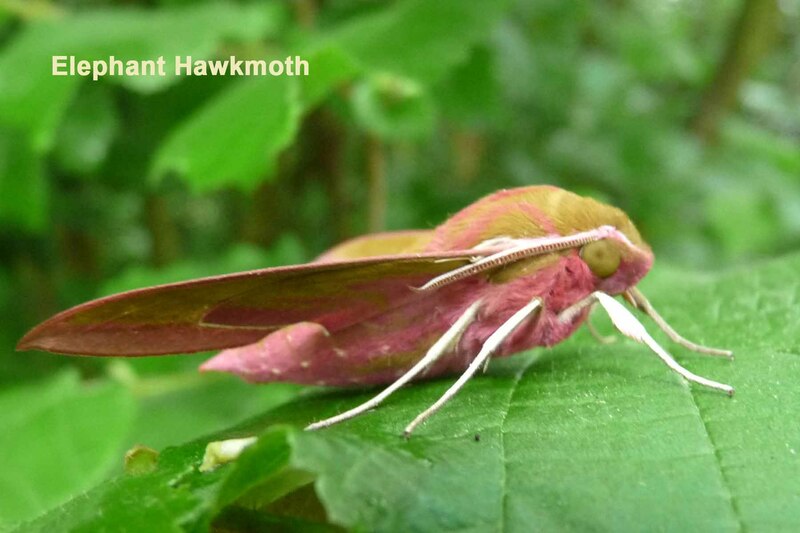 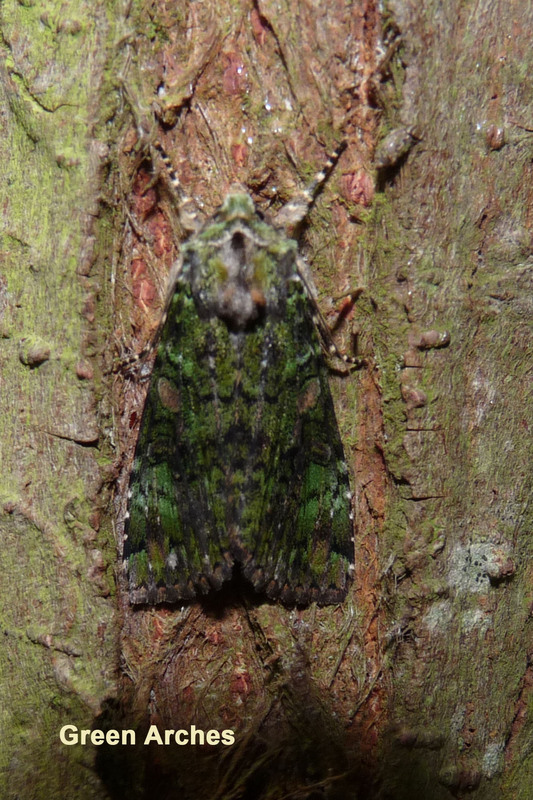 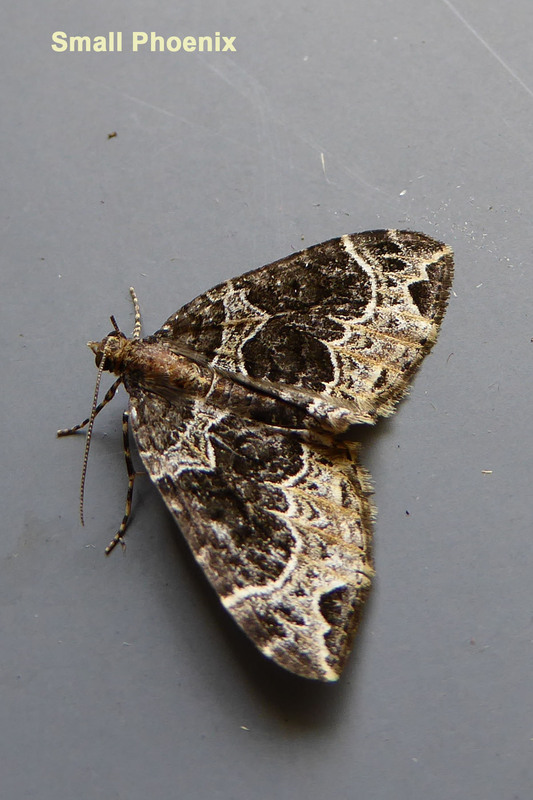 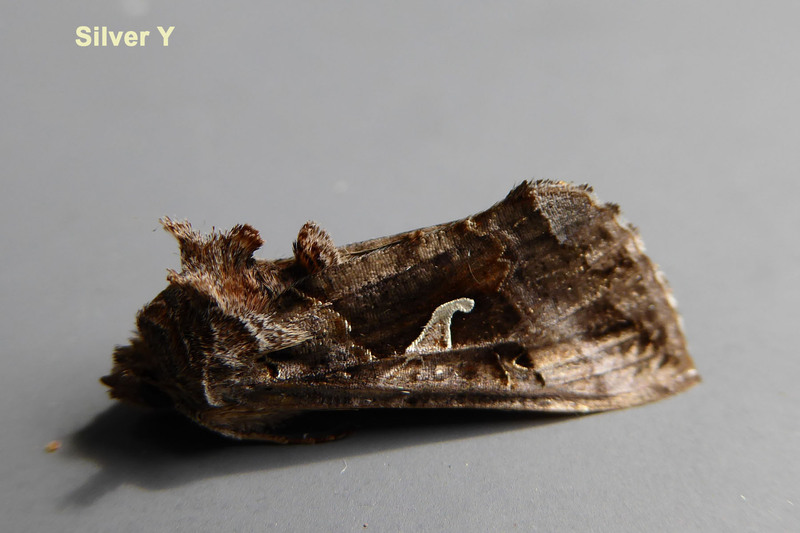 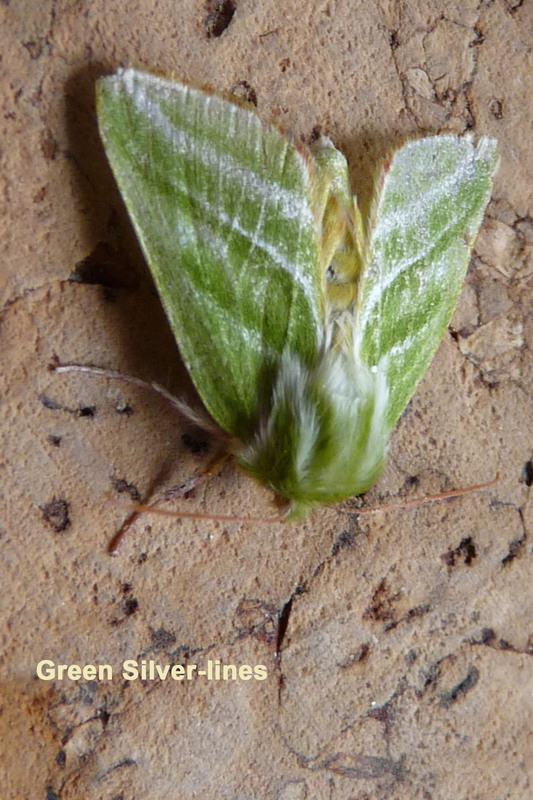 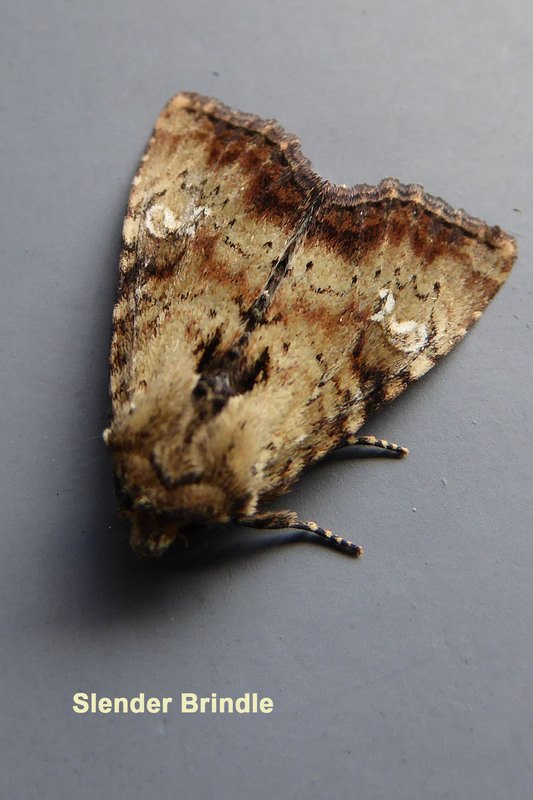 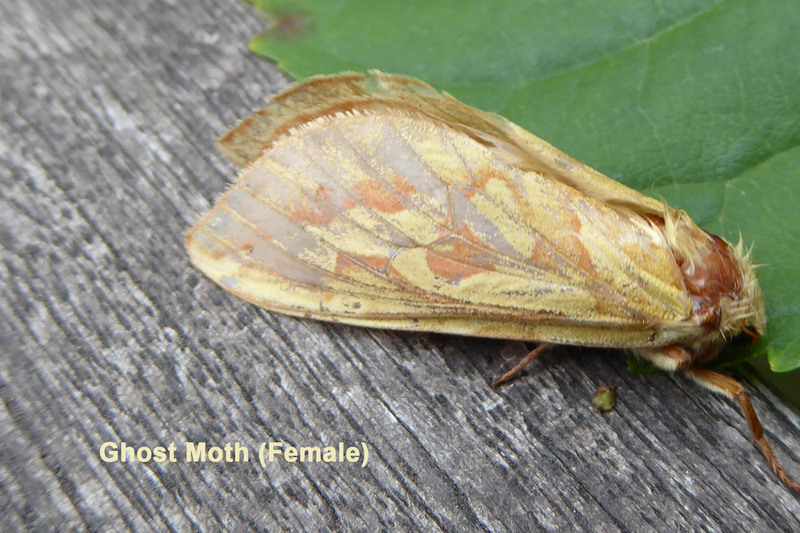 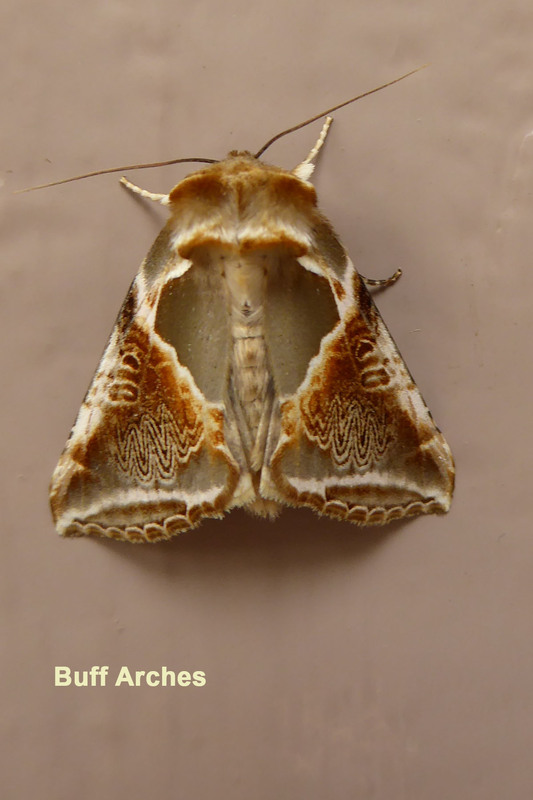 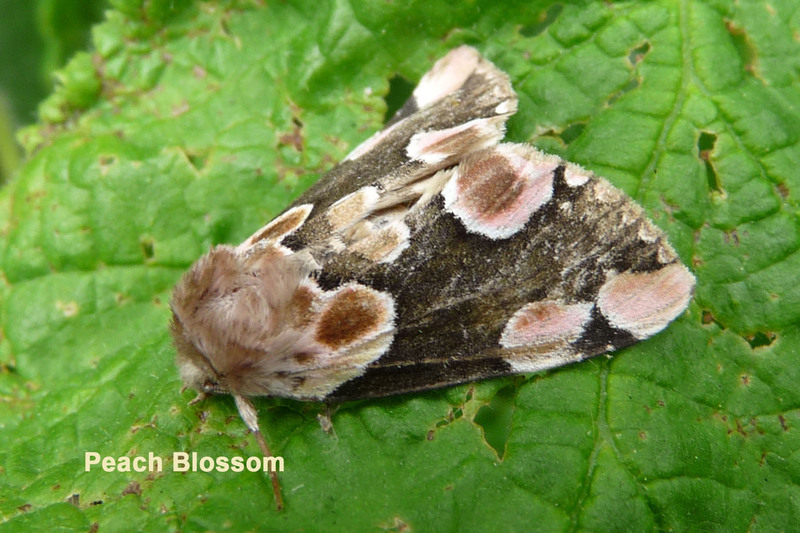 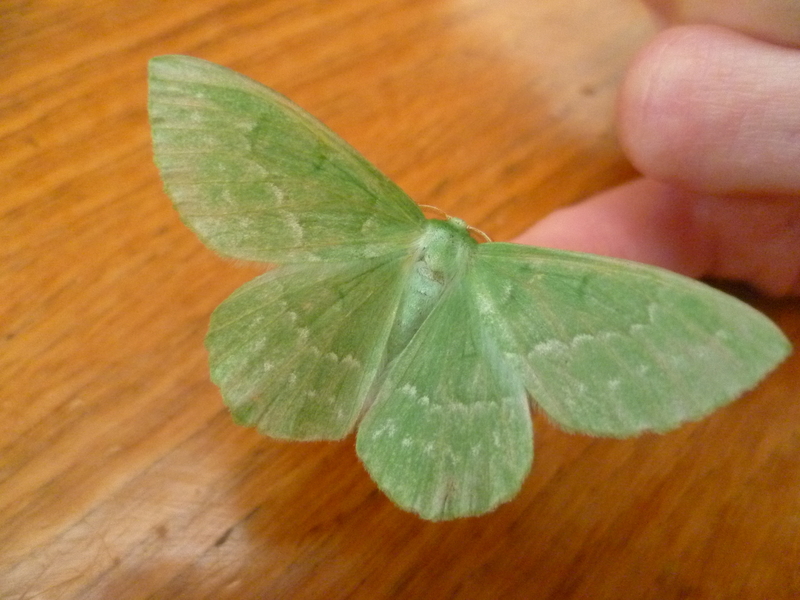 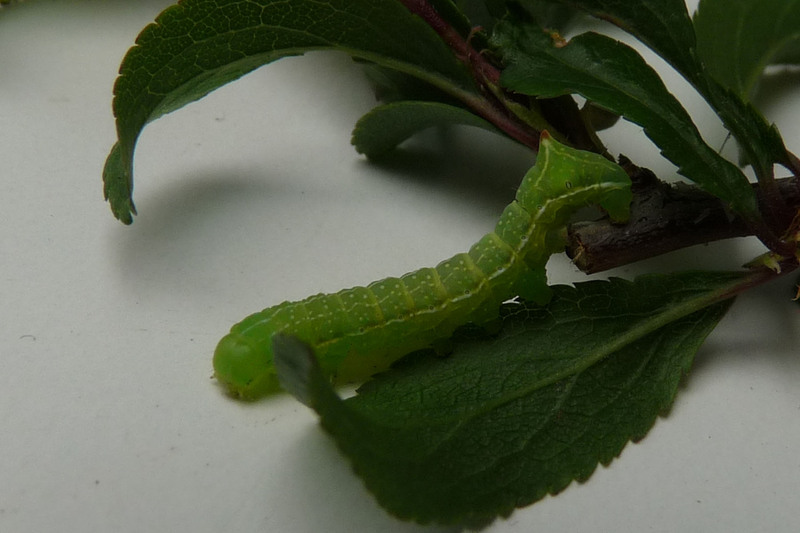 Over the years we have intermittently surveyed macro moths but we began to regularly survey and record in 2014. 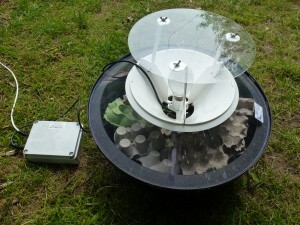 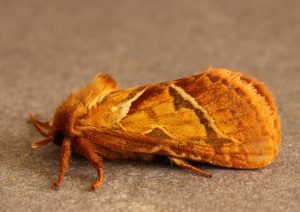 During this time we were using a Heath Moth Trap which ran on battery power. 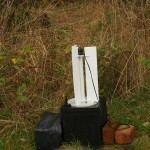 As you can imagine this was sometimes a ‘bit hit and miss’ depending on the age of the battery! 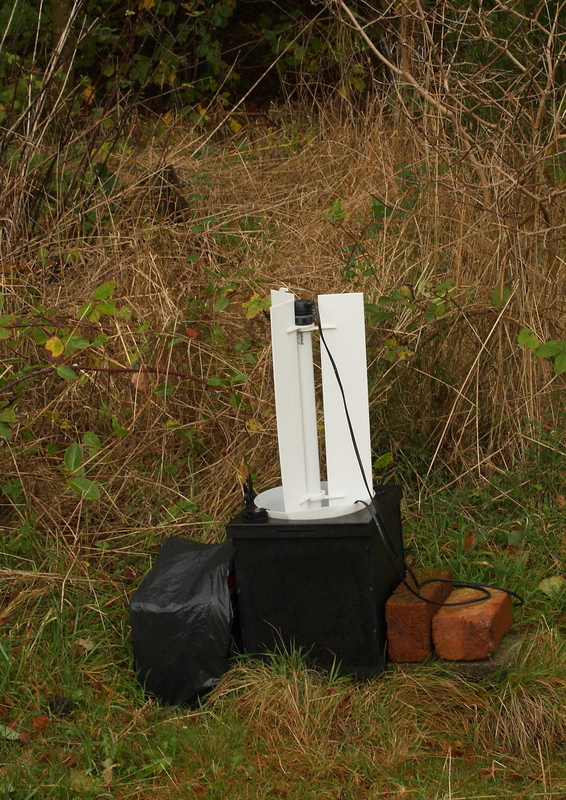 Nevertheless we were encouraged with the results and so applied for a grant to invest in a new, bigger and mains powered trap. 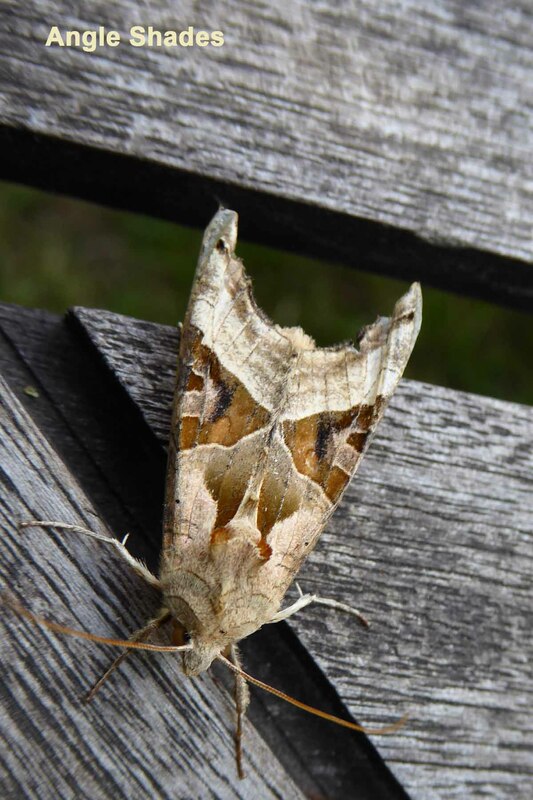 This new trap arrived in 2015 in time to try it out in the 5 Acre meadow adjoining the car park whilst there was an abundance of wildflowers and long meadow grass. 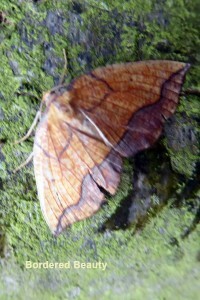 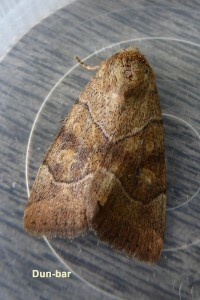 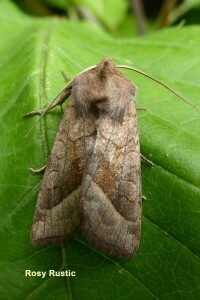 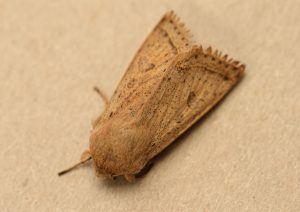 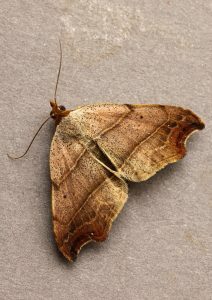 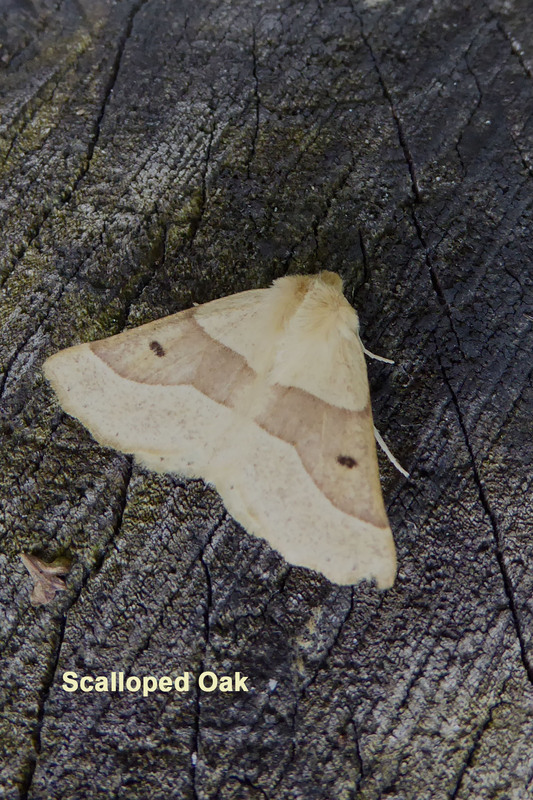 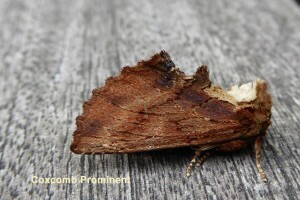 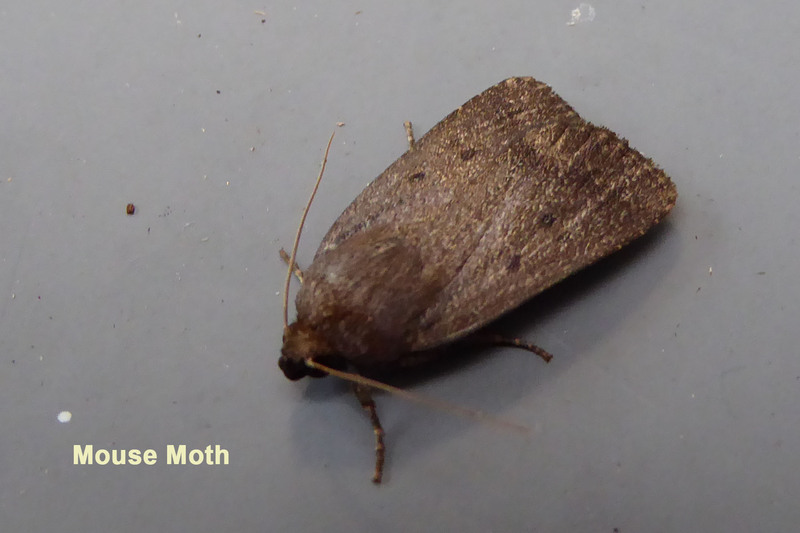 The moths are are attracted by the light, enter the trap and nestle down in the recesses of the egg boxes. 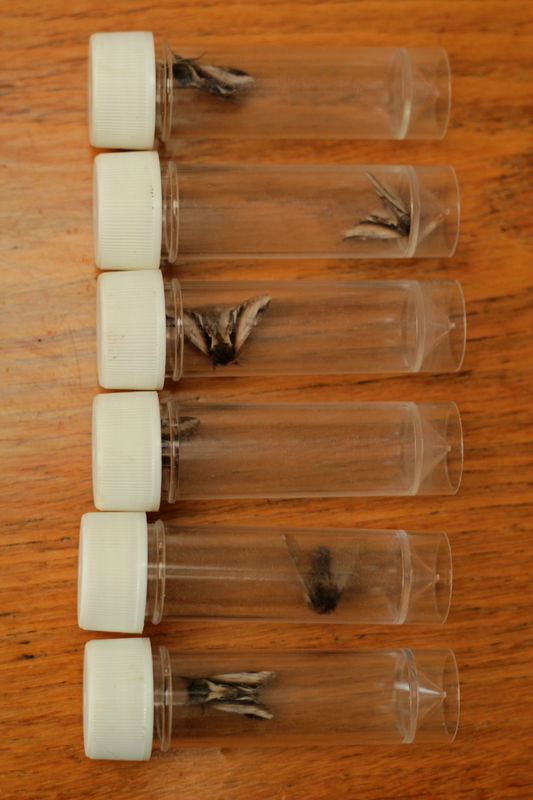 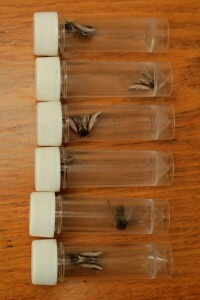 In the morning the moths are carefully transferred from their hiding places into clear plastic pots of various sizes so they can be examined, identified and recorded. 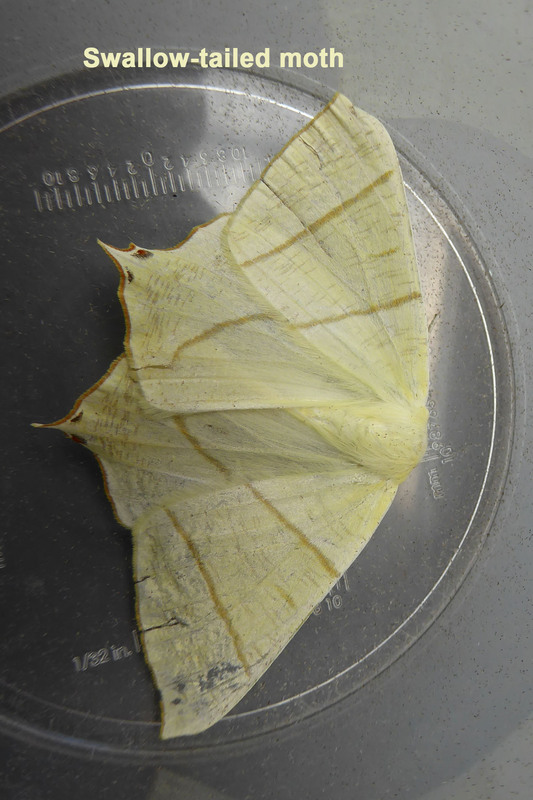 The moths are then released close to their capture point and some loiter long enough to be captured again but this time as a digital image! 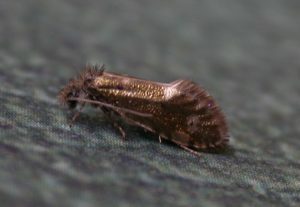 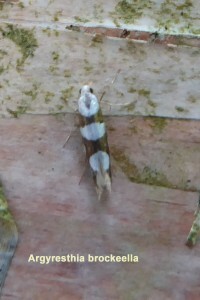 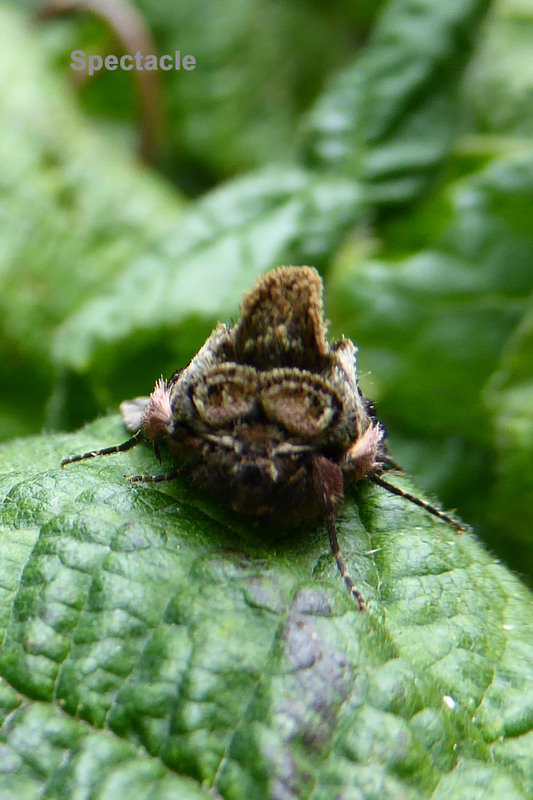 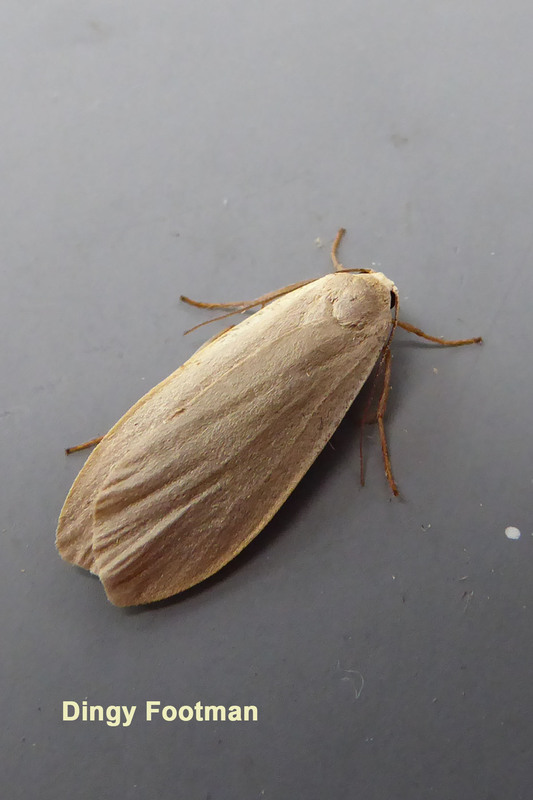 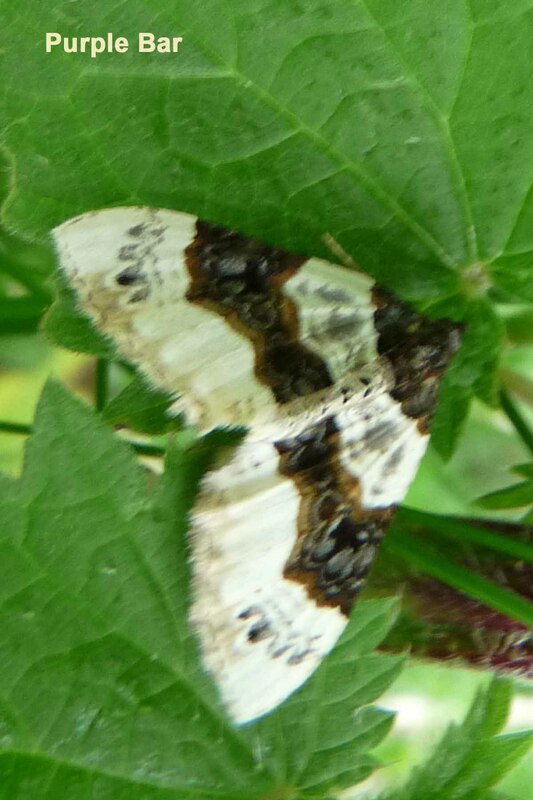 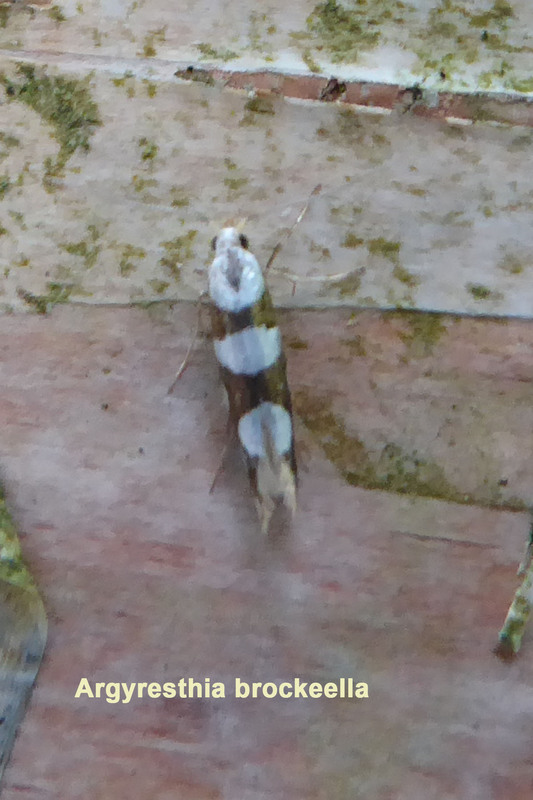 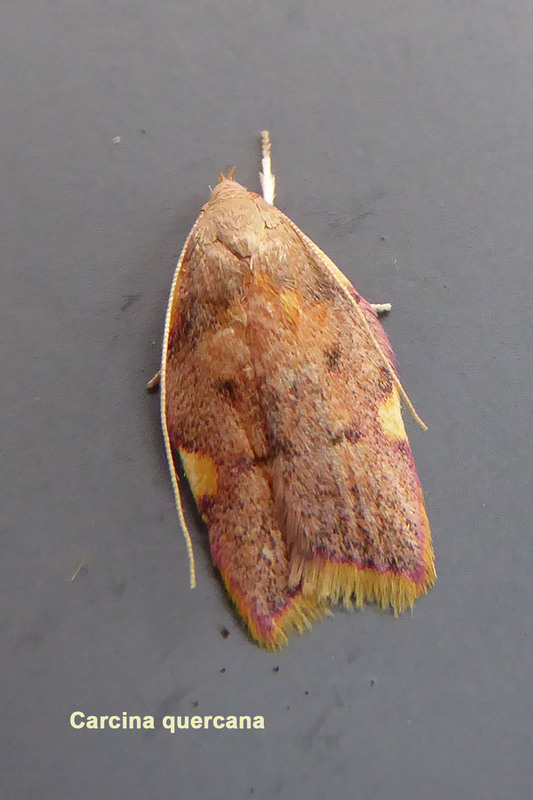 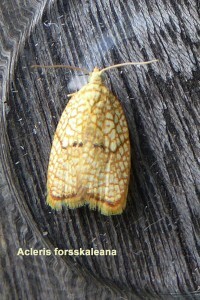 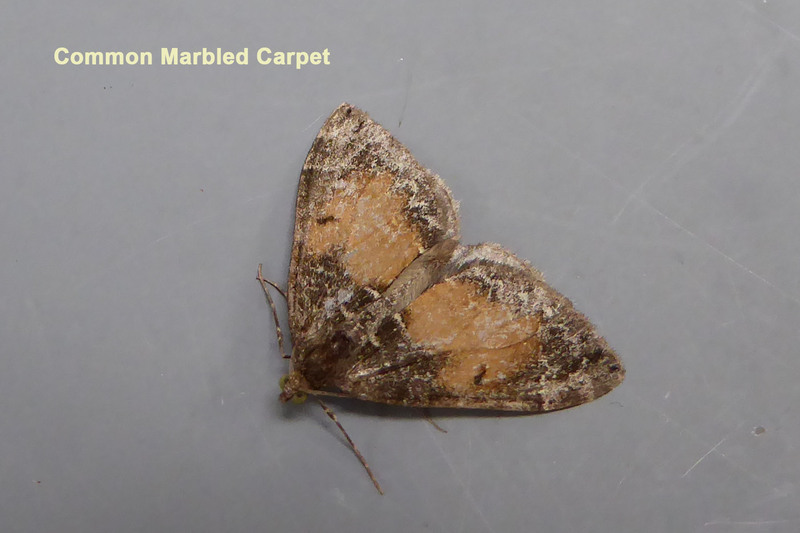 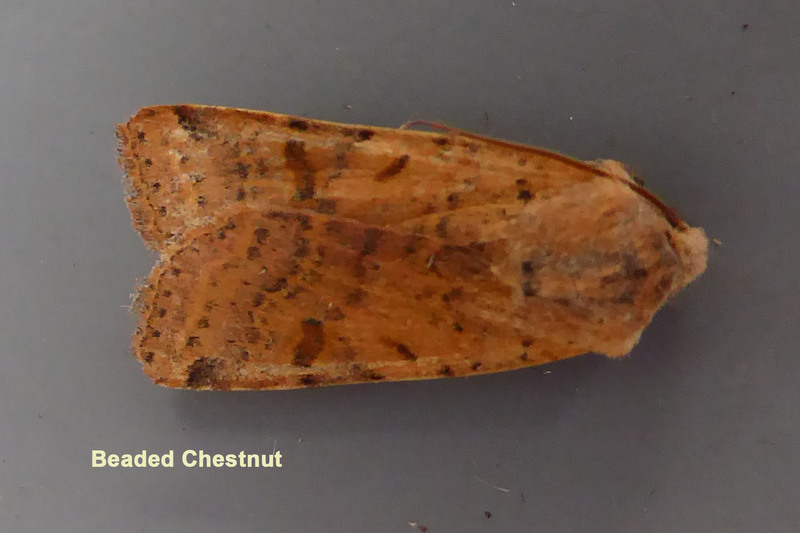 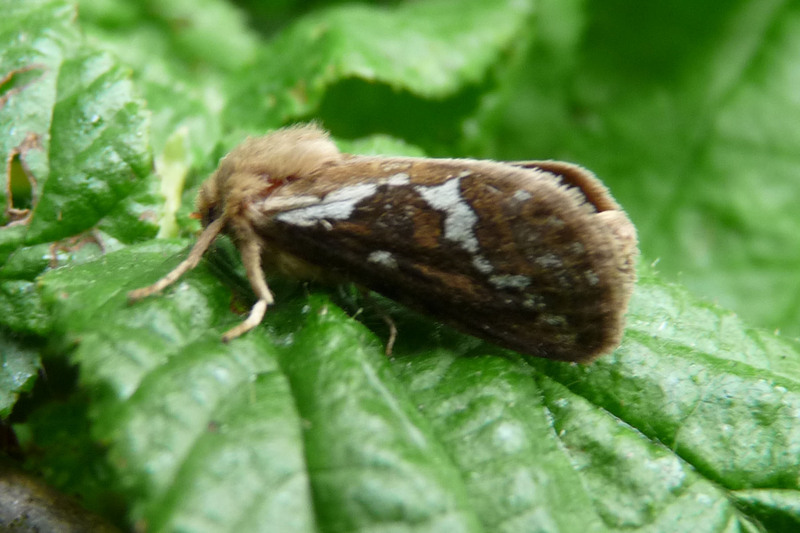 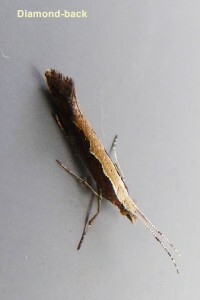 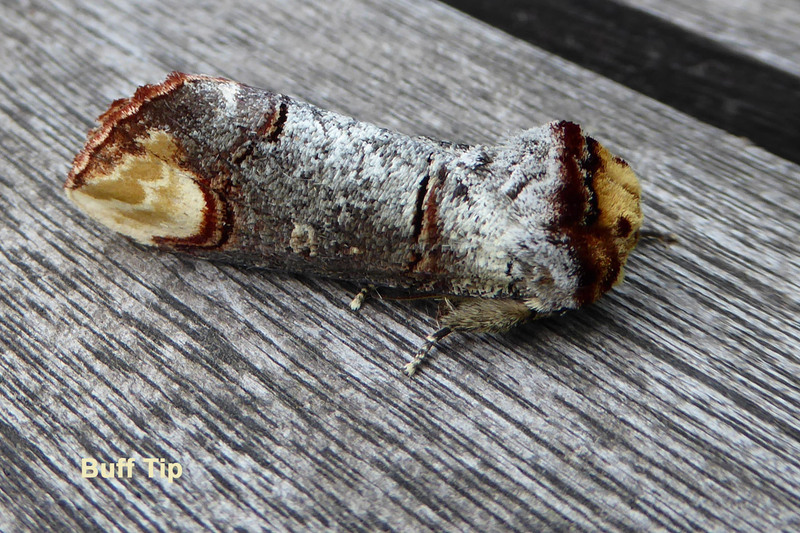 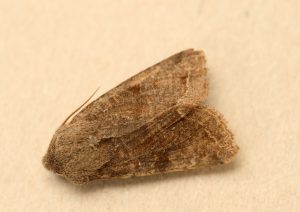 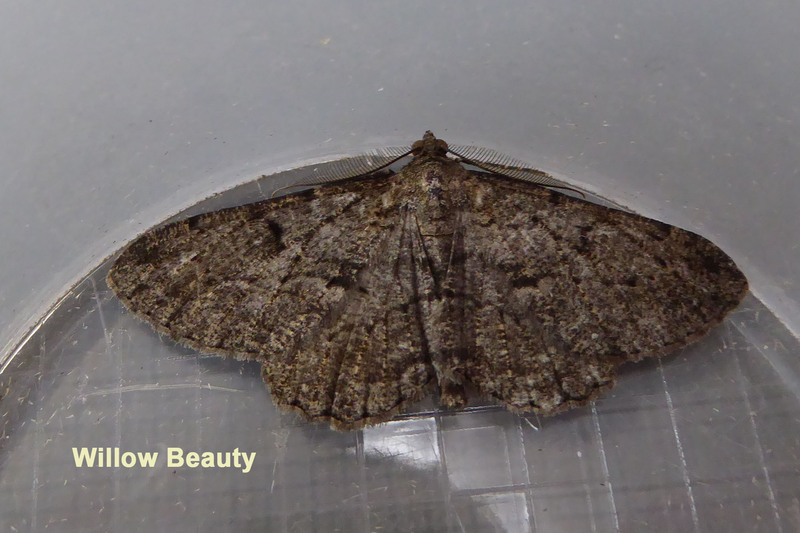 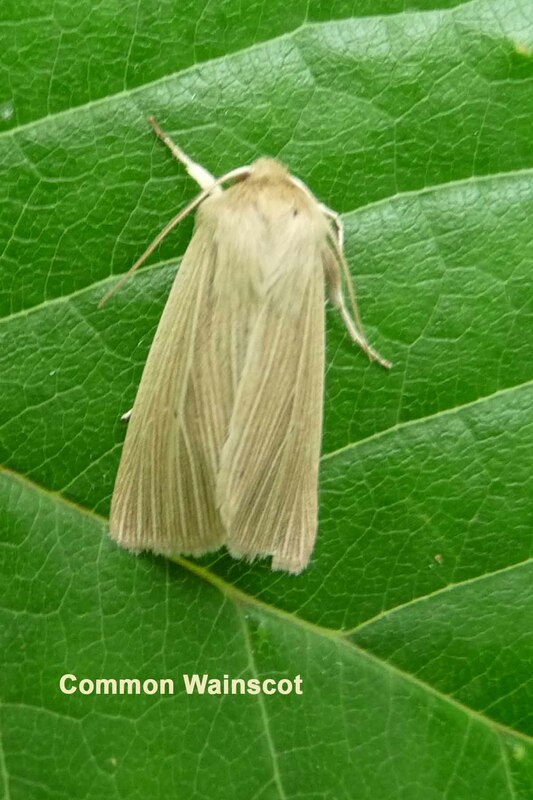 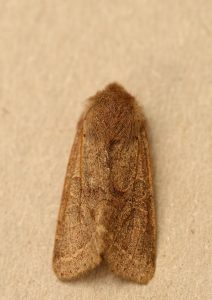 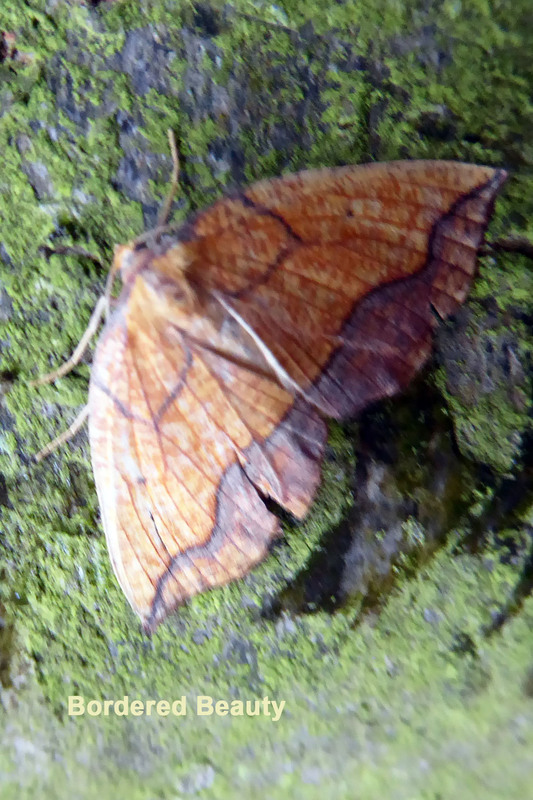 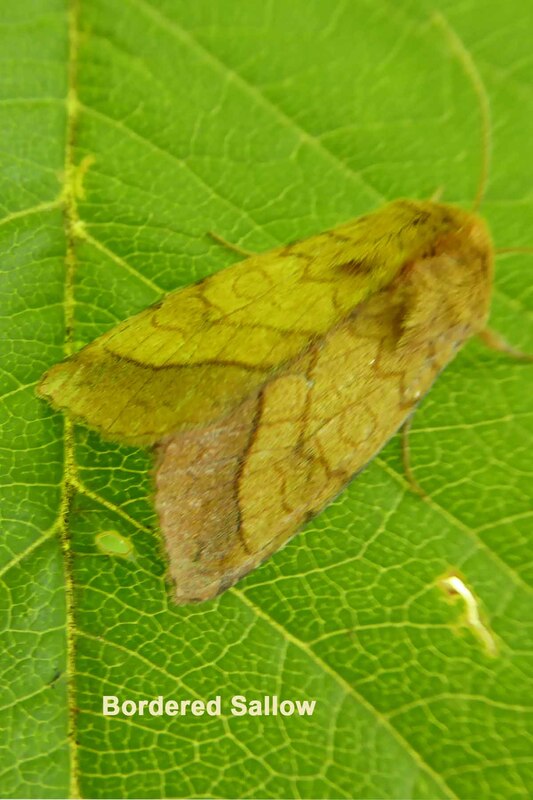 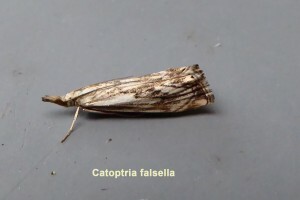 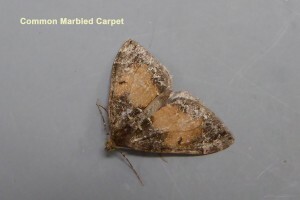 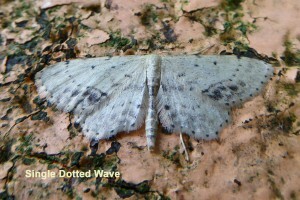 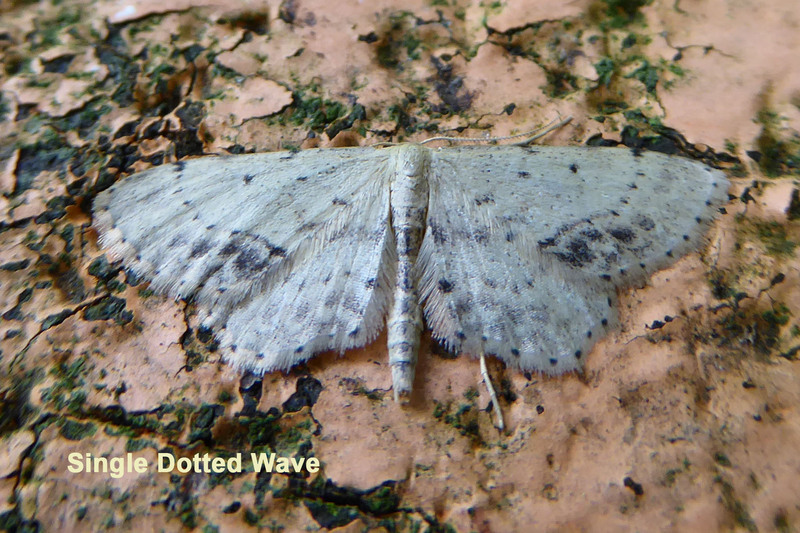 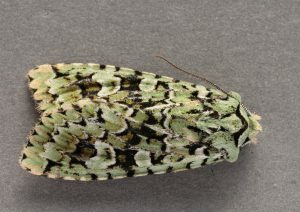 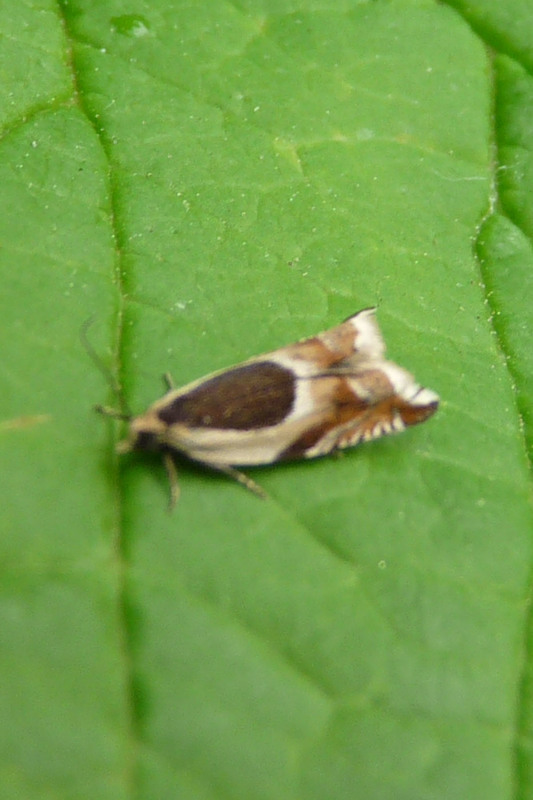 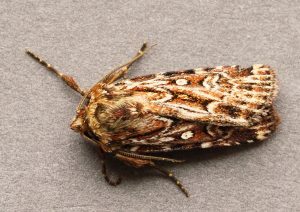 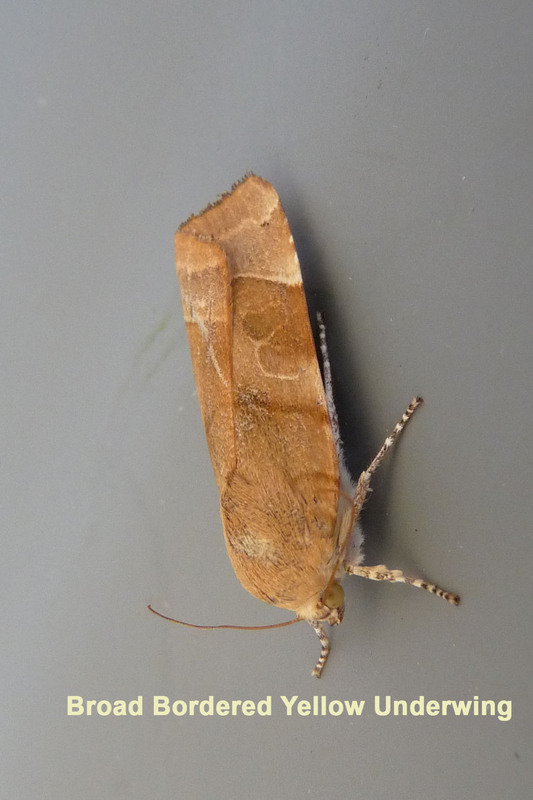 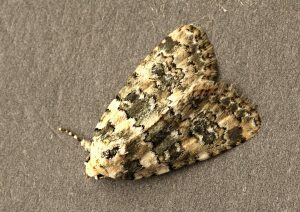 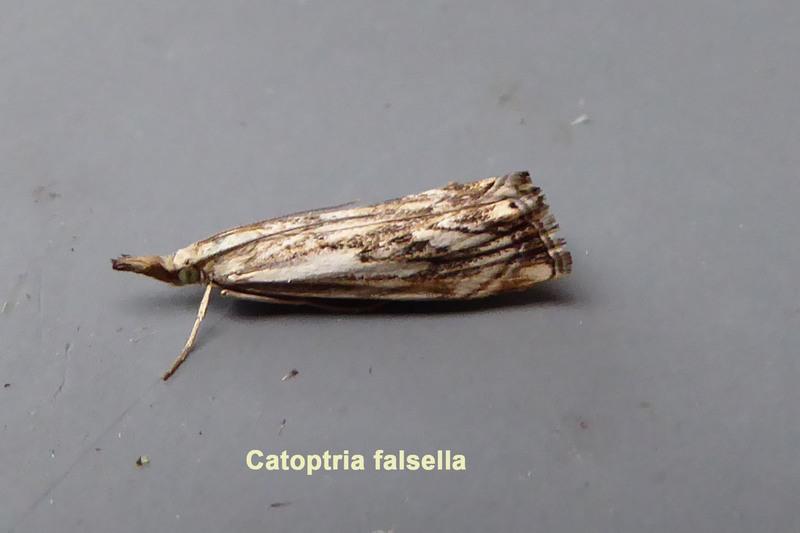 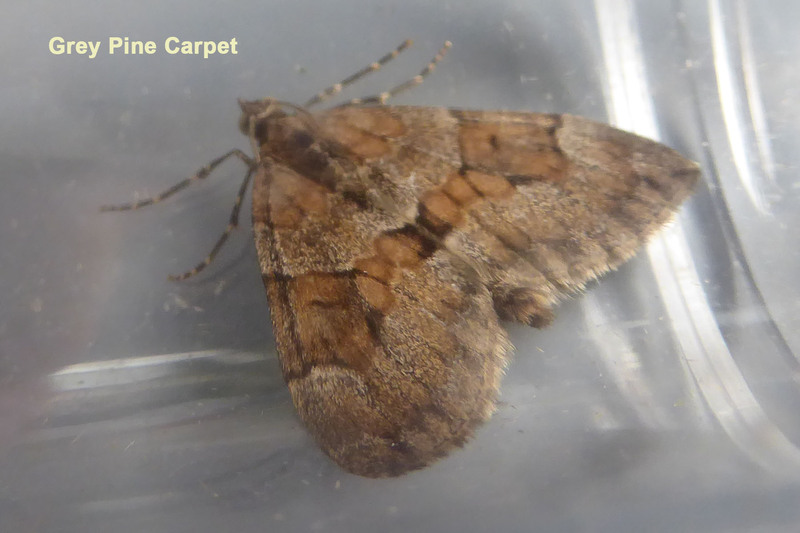 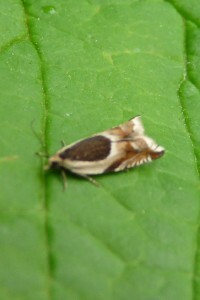 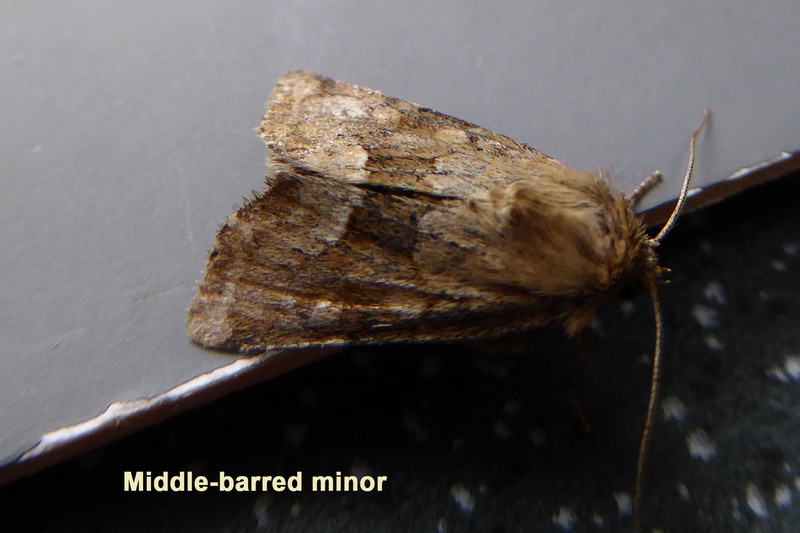 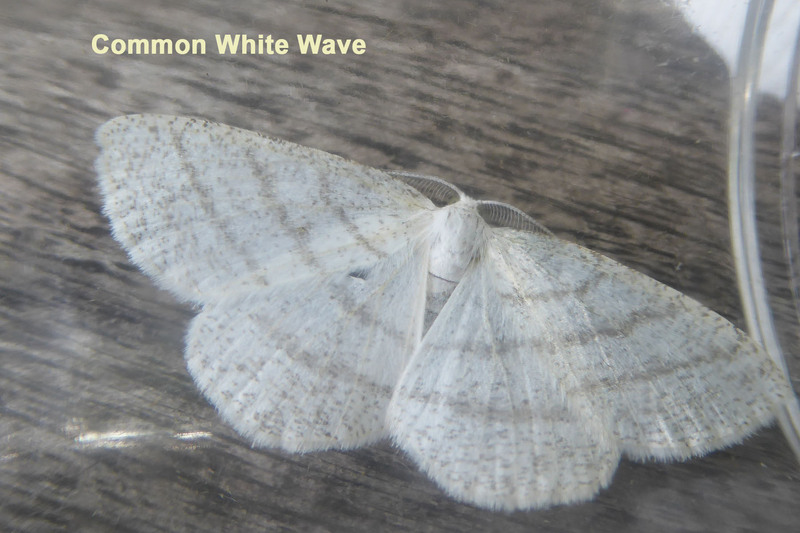 Micro moths are now part of our ‘identity parade’ but you need a good hand lens as well as good eyesight! 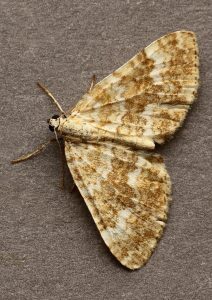 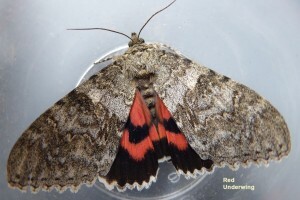 We are used to seeing moths at home against our windows attracted by our house lights but how many of us realise the vast variety of macro moths and their vibrant colours? 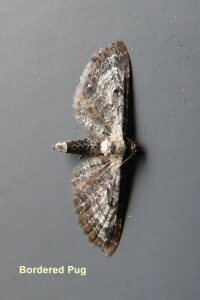 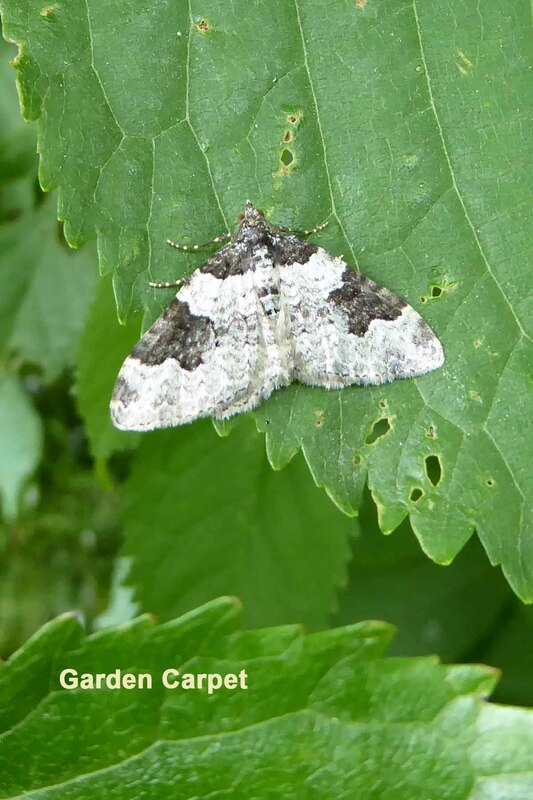 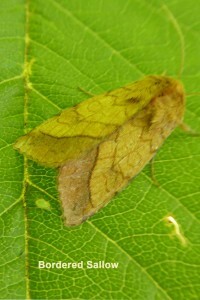 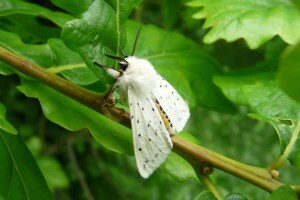 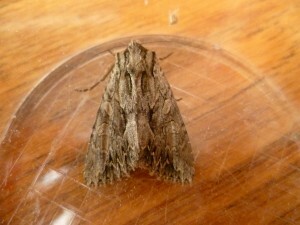 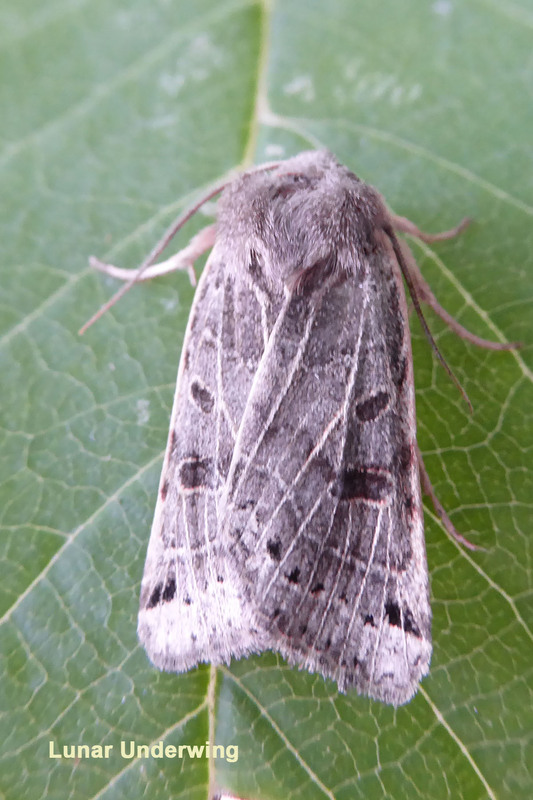 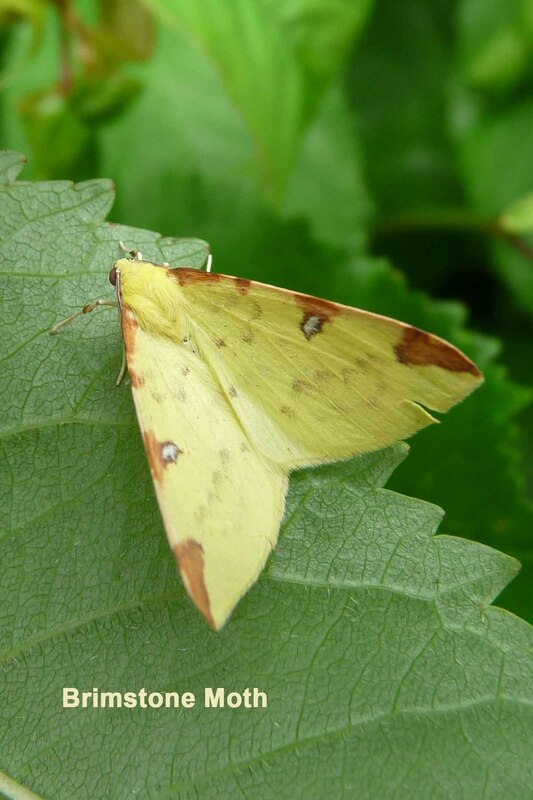 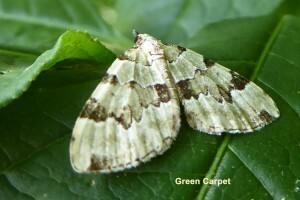 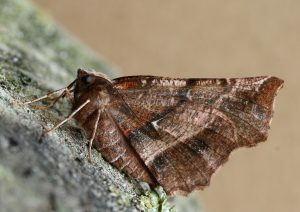 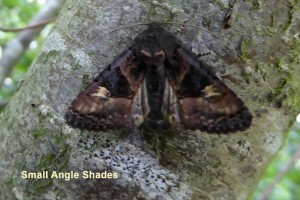 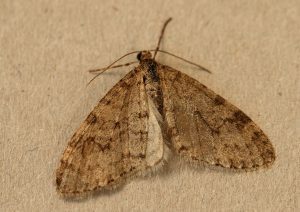 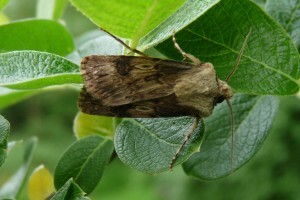 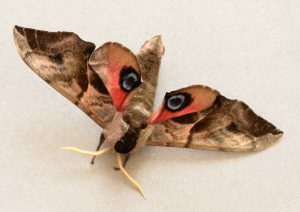 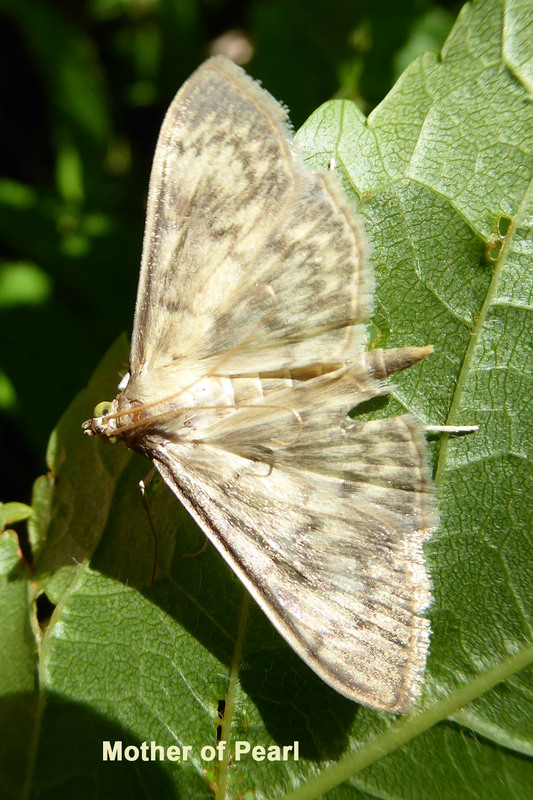 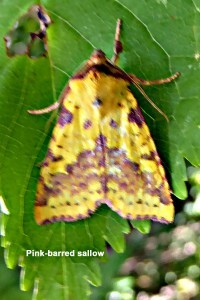 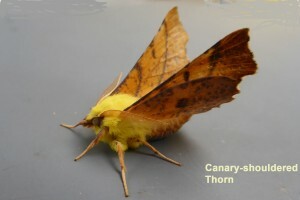 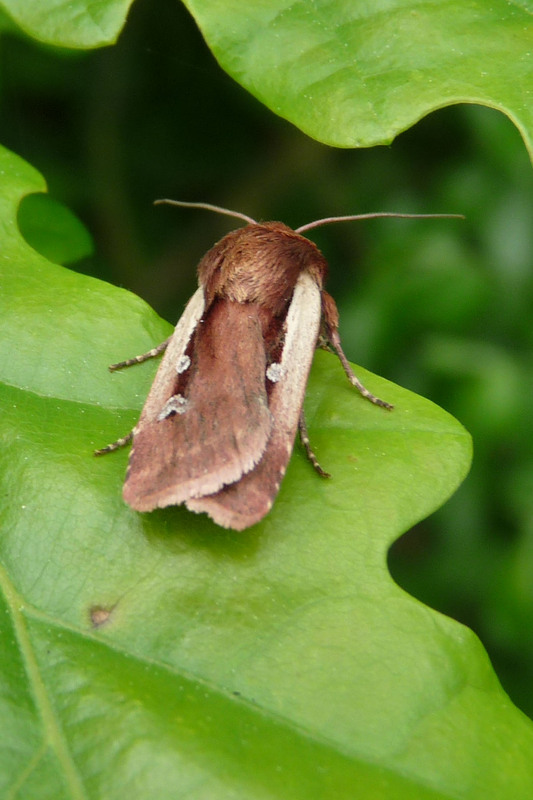 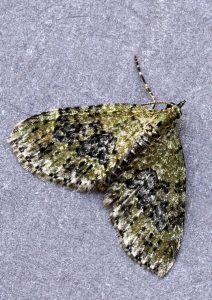 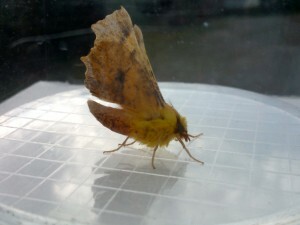 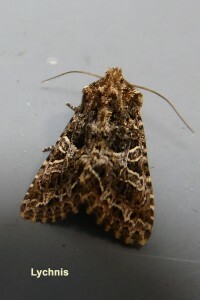 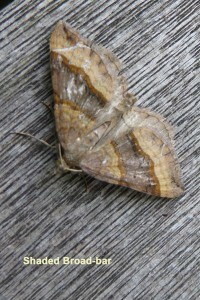 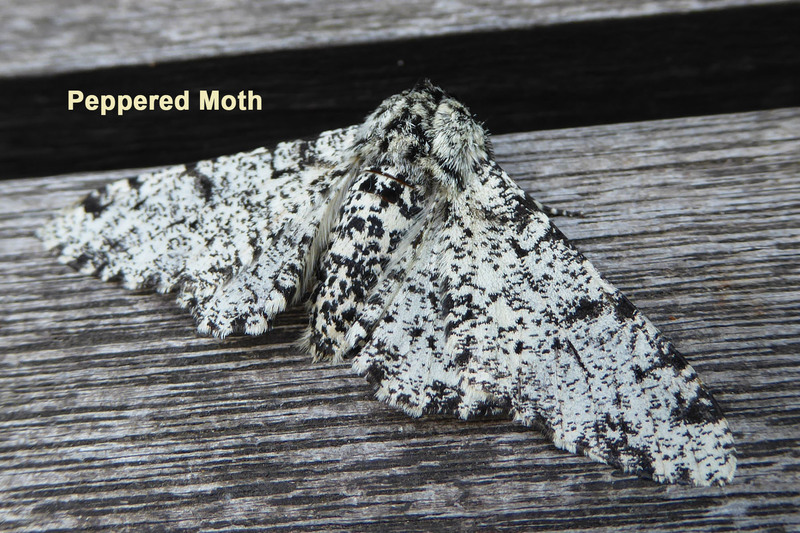 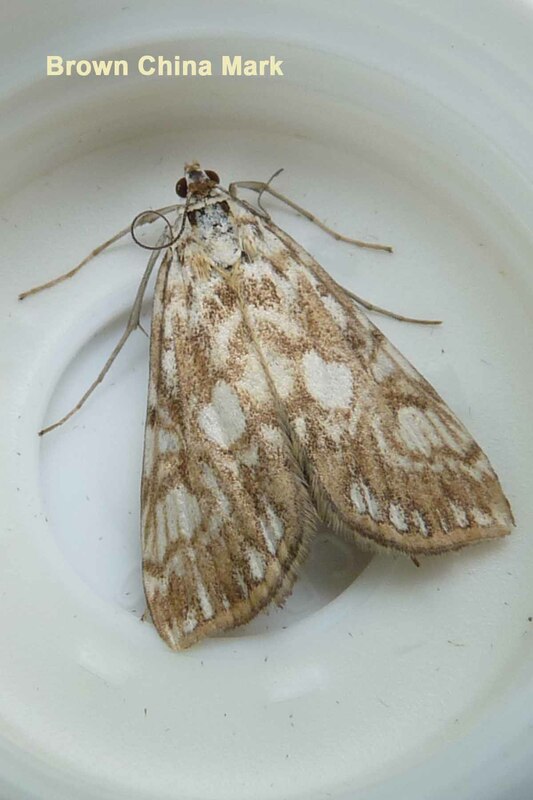 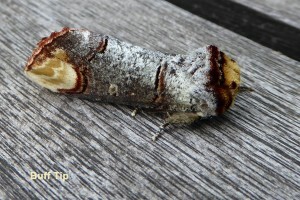 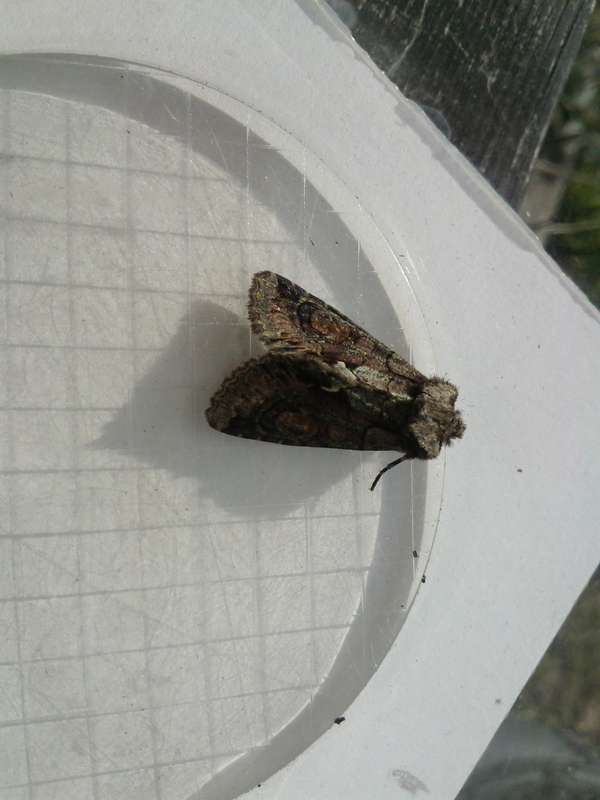 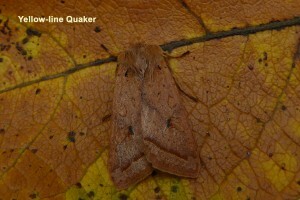 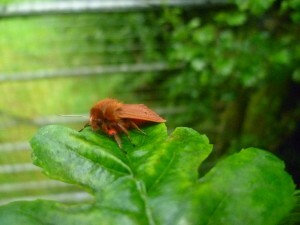 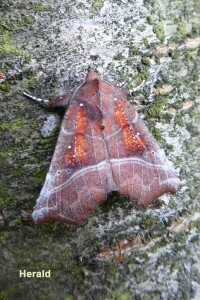 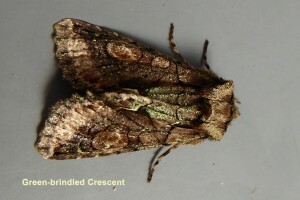 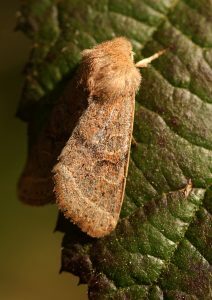 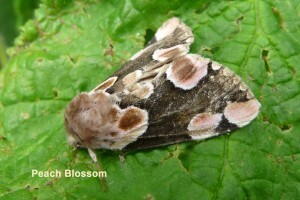 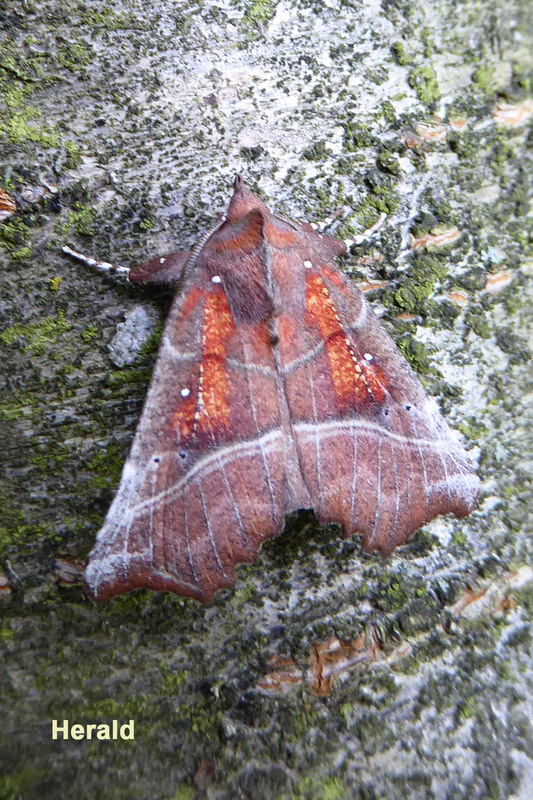 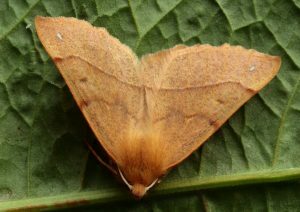 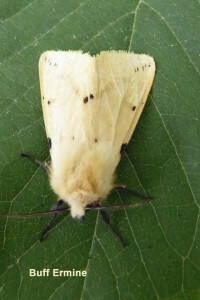 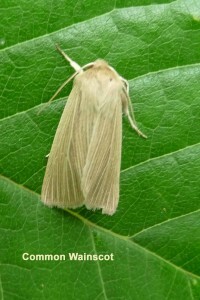 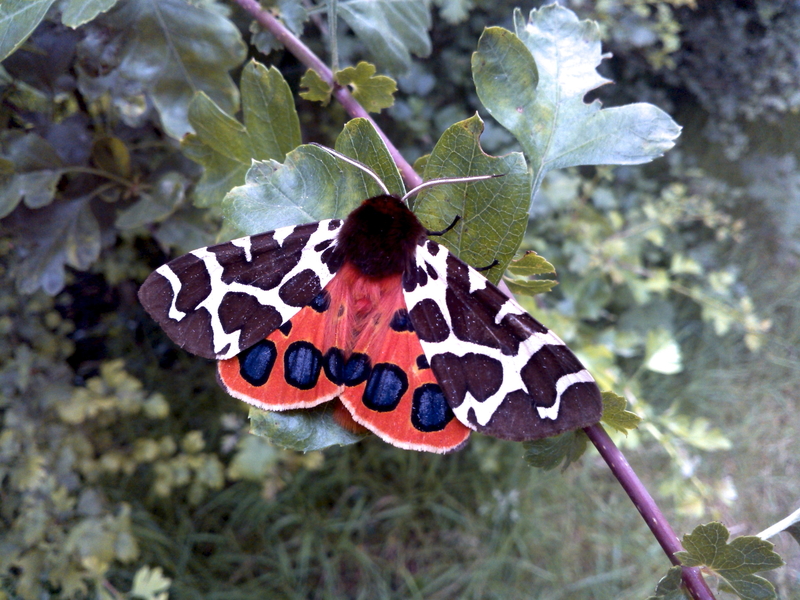 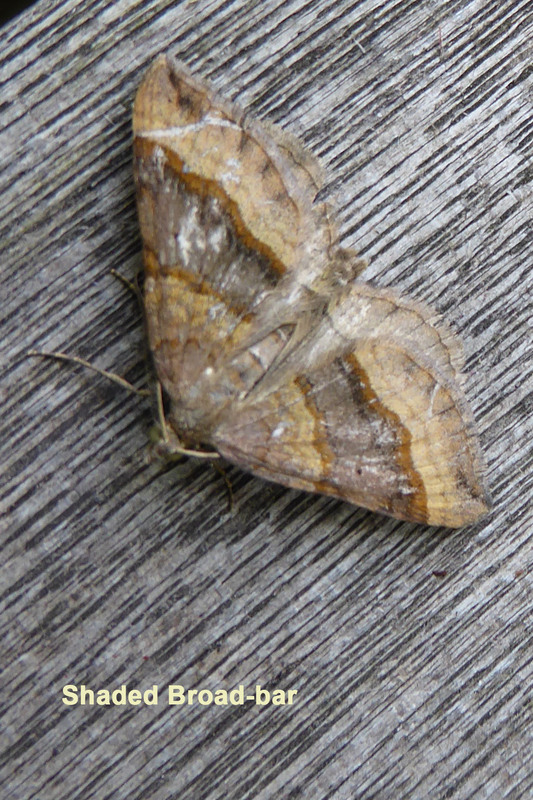 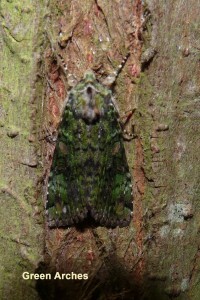 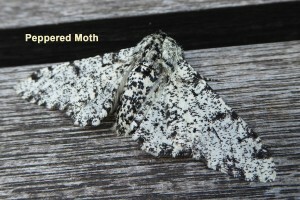 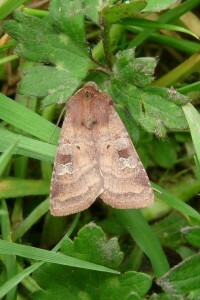 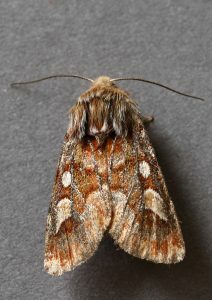 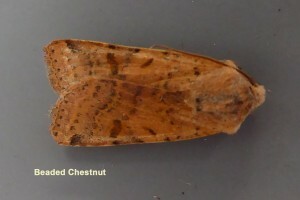 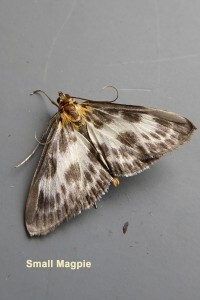 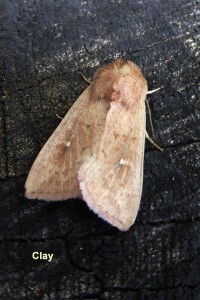 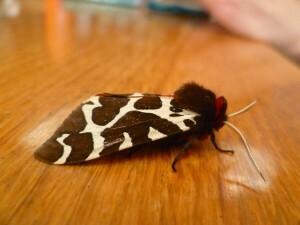 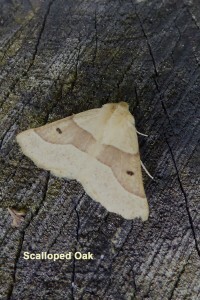 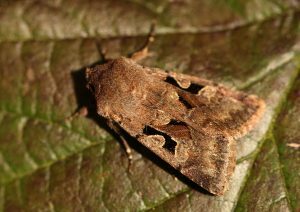 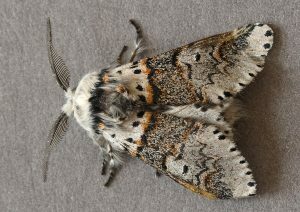 We do see some moths during the day such as Cinnabar moths and many of the micro moths. 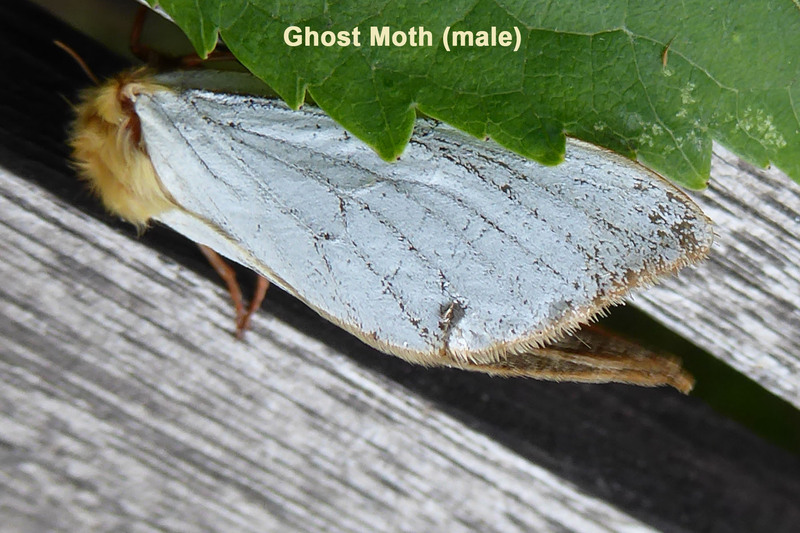 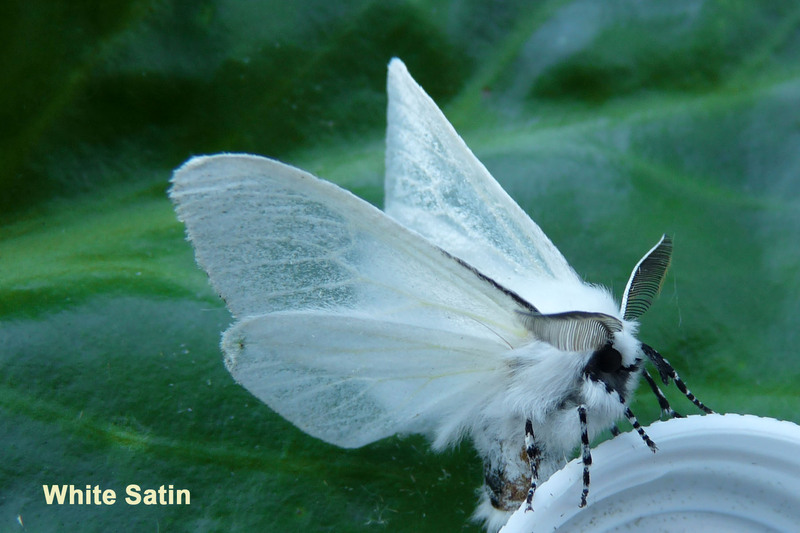 Did you know that one of the micro moth species has bright blue eyes?